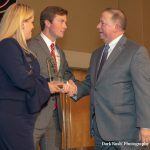 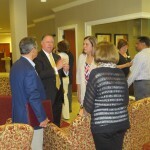 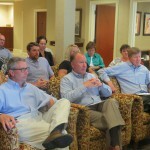 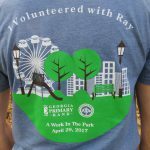 At Georgia Primary Bank, we know the most valuable thing we can contribute to our community is our time. 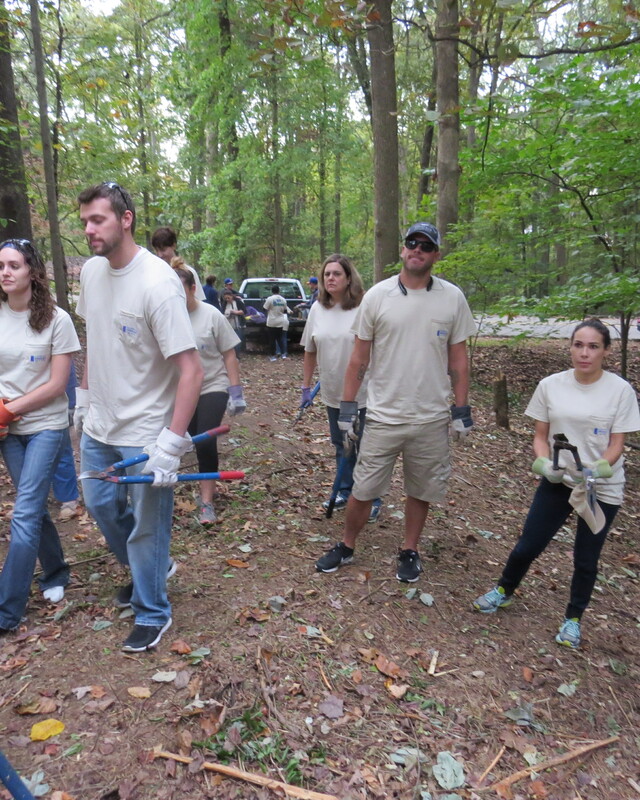 That is why you will find our employees out and about helping our communities and volunteering their time. 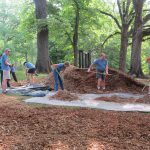 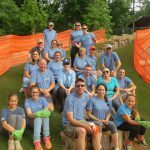 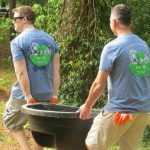 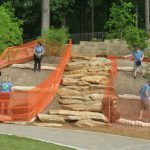 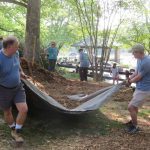 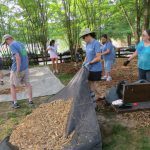 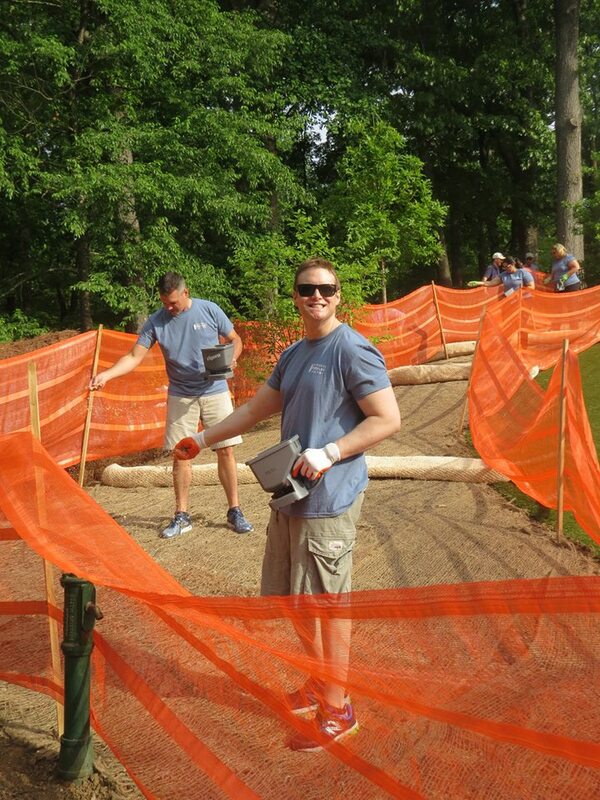 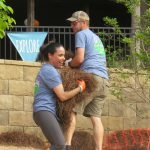 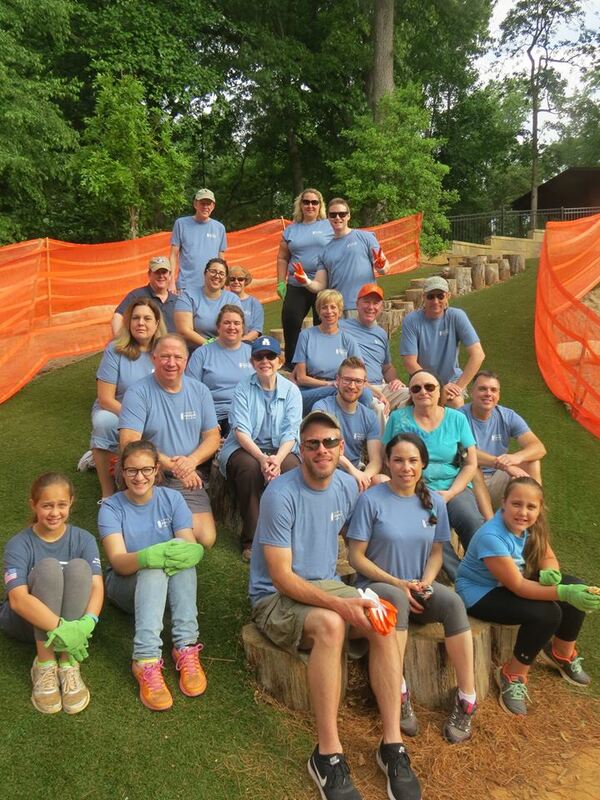 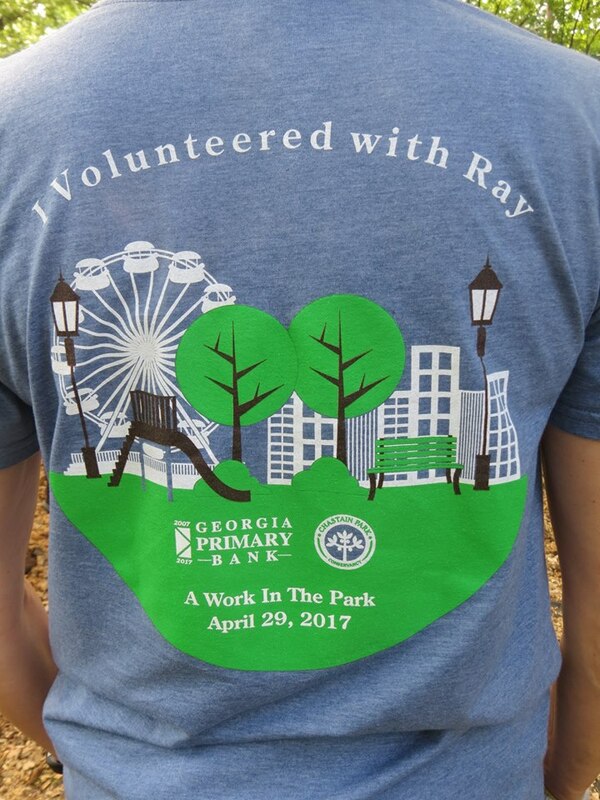 The Georgia Primary Bank family was excited to participate in our annual “A Work In The Park” day at Chastain Park on Saturday, April 29, 2017. 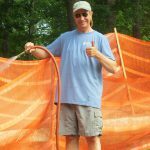 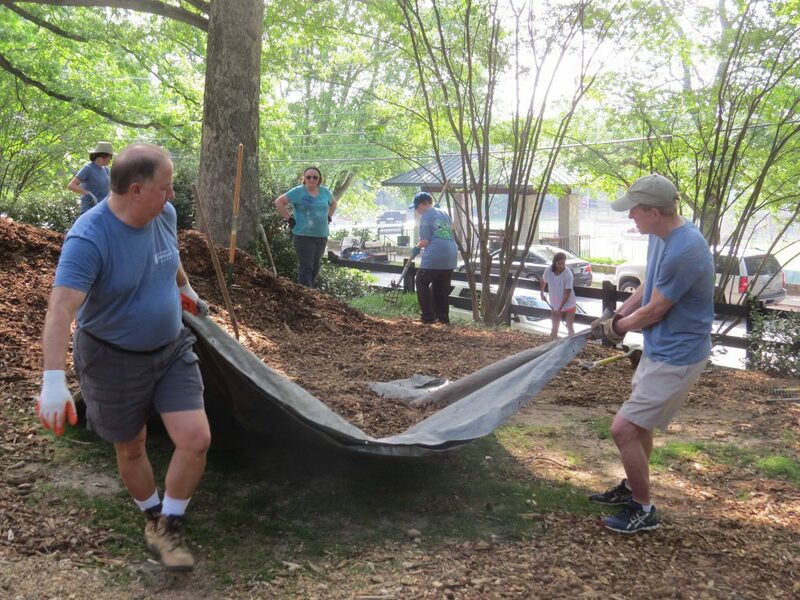 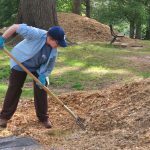 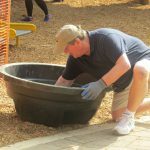 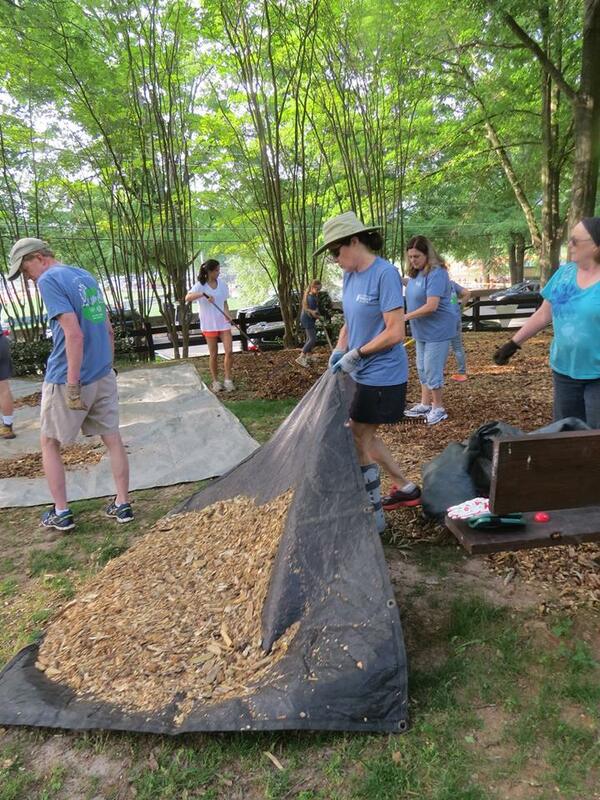 We volunteered to plant a variety of wild flowers and grasses on the banks of the playground and we also helped to spread pine straw and wood chips in the surrounding areas. 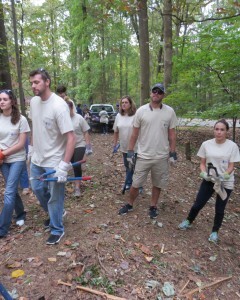 It felt great to give back to the community we serve and to such a beautiful park! 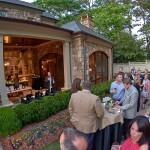 We are proud of our customers and love to support them. 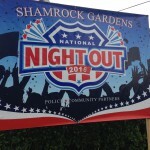 Last week, Brent Sobol, Legacy Housing Corporation Executive Director, hosted the opening ceremony of Shamrock Gardens 9th Annual National Night Out. 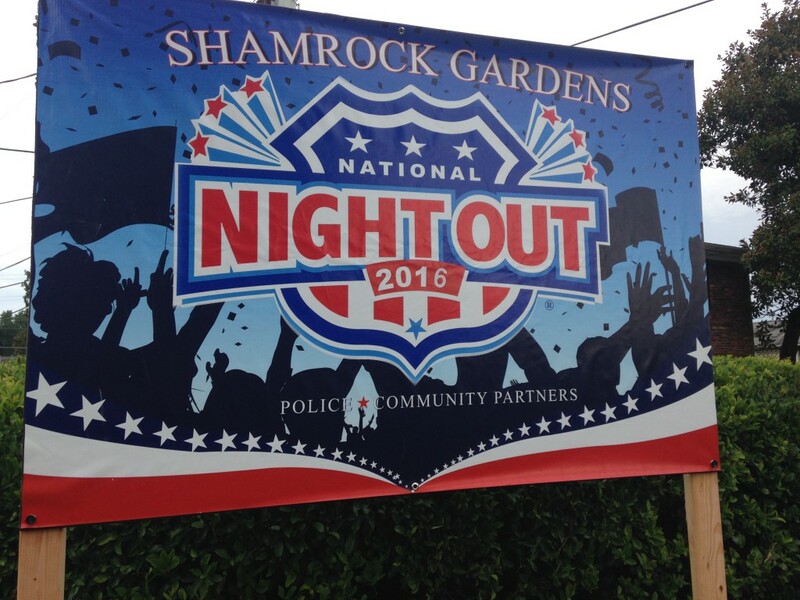 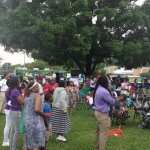 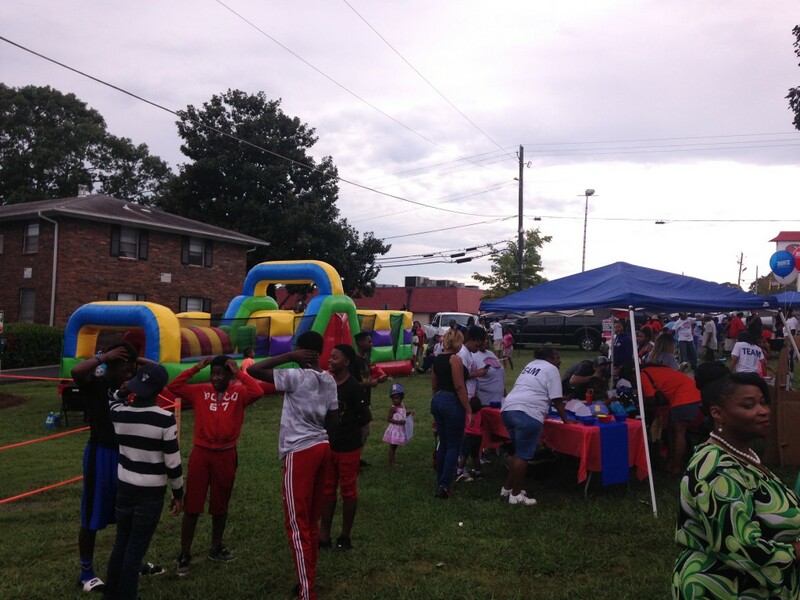 National Night Out is a national event that celebrates the partnership between community and law enforcement, and public safety stakeholders as a whole, through festive activities, food and fellowship across the United States. 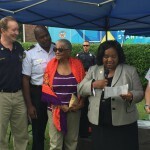 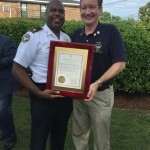 Georgia State Senator Donzella James presented a Proclamation by Governor Deal for National Night Out. 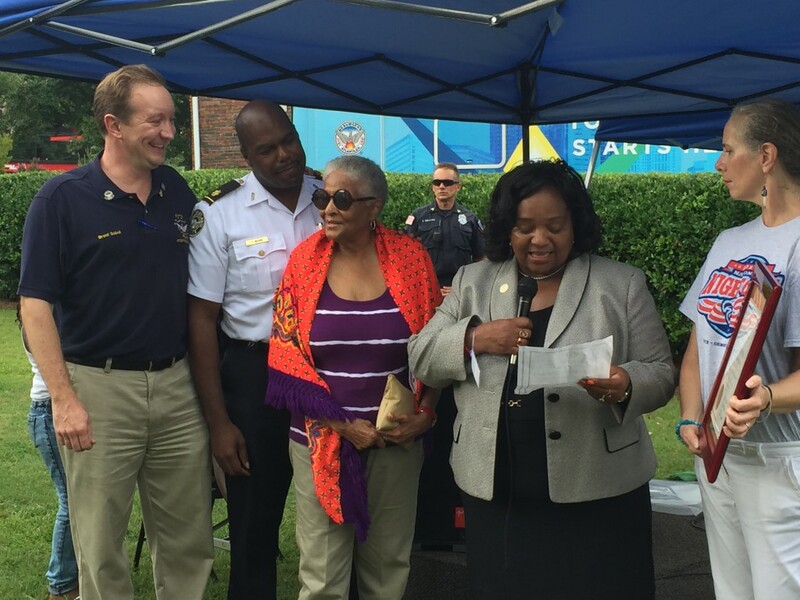 She was joined by Atlanta City Council President Ceasar Mitchell, Atlanta Police Chief George Turner, Atlanta Police Assistant Chief Shawn Jones, Atlanta Police Department Zone 4 Commander Major Vincent Moore and Fulton County District Attorney Paul Howard. 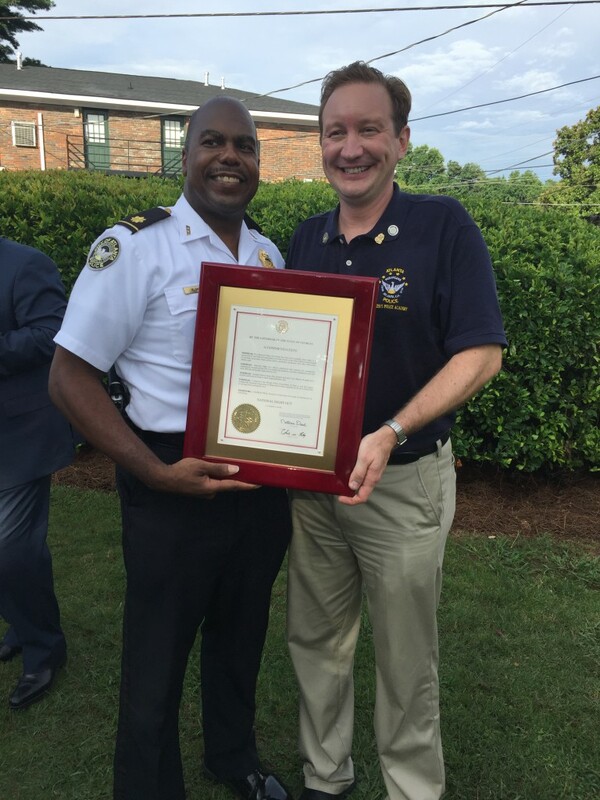 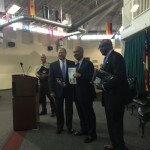 A strong crime prevention partnership and statistical record has existed nearly 10 years between the property management team and now housing nonprofit Legacy Housing Corporation that owns Shamrock Gardens and the Zone 4 Command of the Atlanta Police Department. 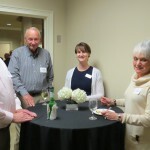 A good time was had by all for such a worthwhile event. 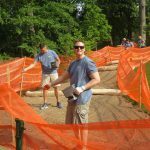 Thanks for making a difference in our communities Brent! 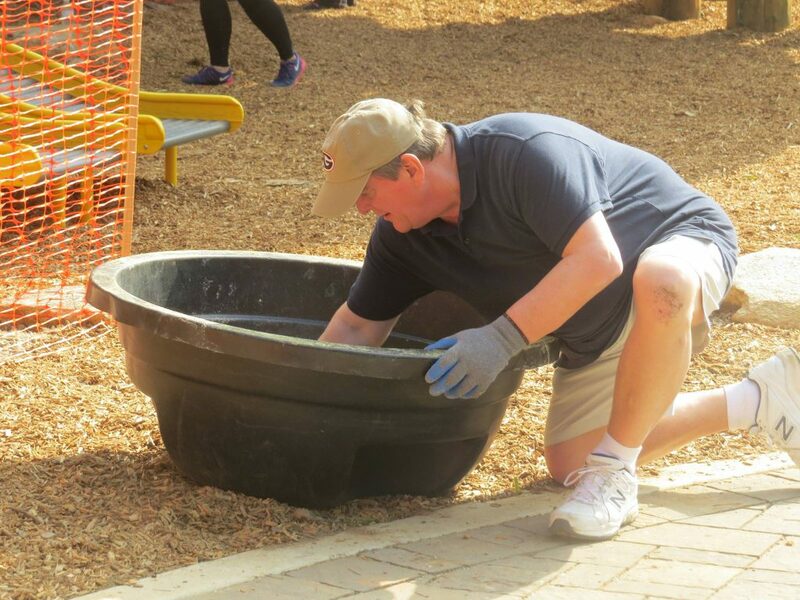 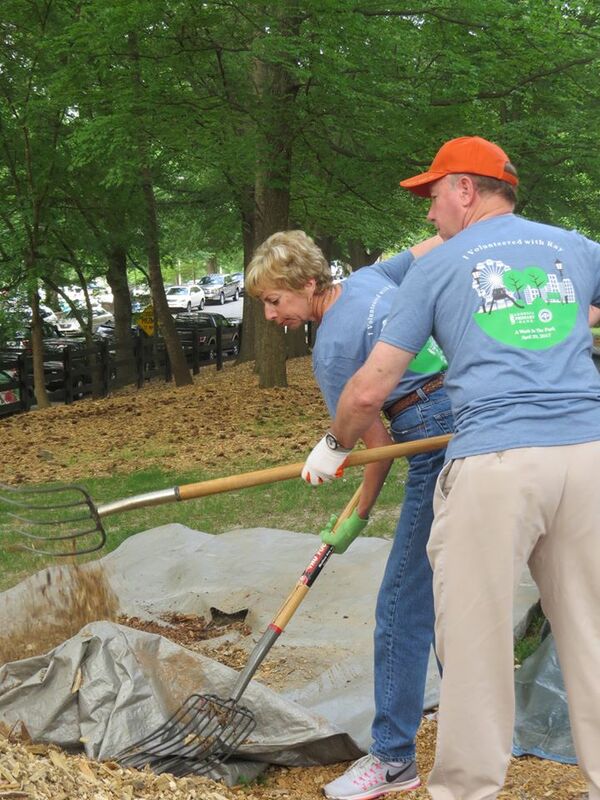 We are proud when our employees volunteer and get involved. 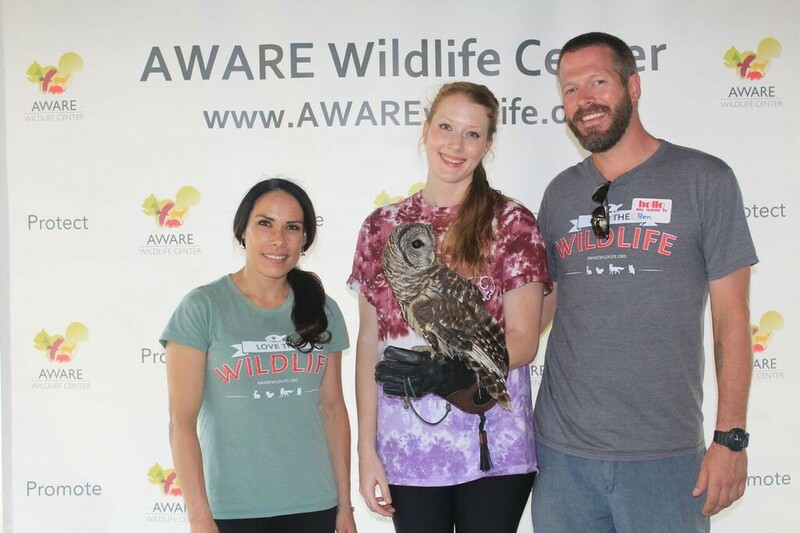 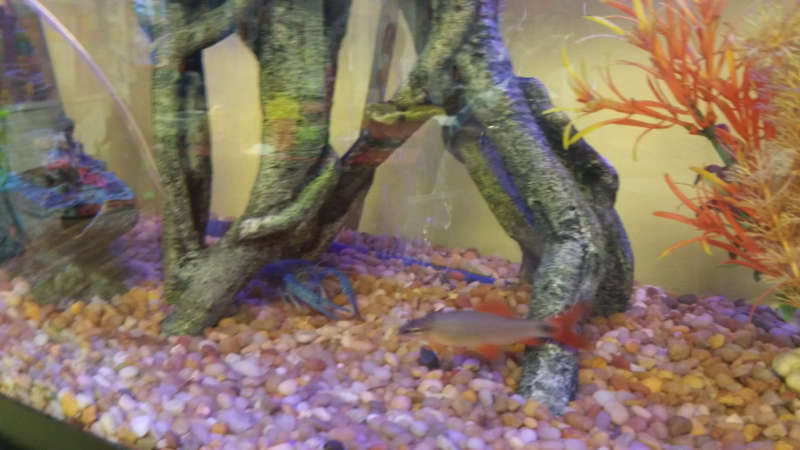 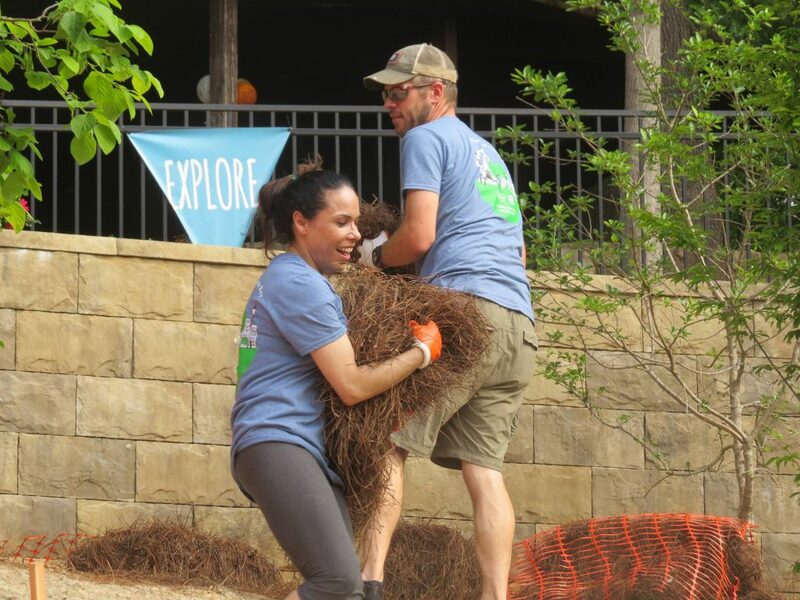 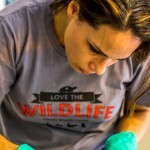 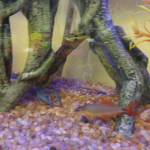 Mariela Hoffman, our Executive Assistant, is very involved with AWARE (Atlanta Wild Animal Rescue Effort) and volunteers every chance she gets. 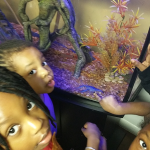 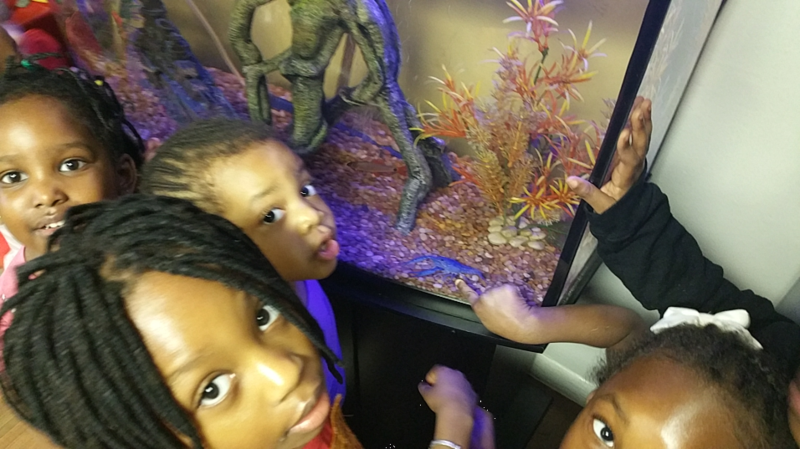 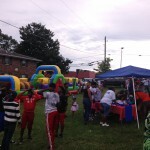 AWARE is a non-profit organization located in Lithonia, Georgia. 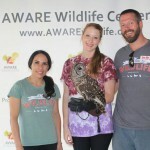 AWARE rehabilitates Georgia’s injured or orphaned native wildlife and educates the community about habitat preservation and peaceful coexistence. 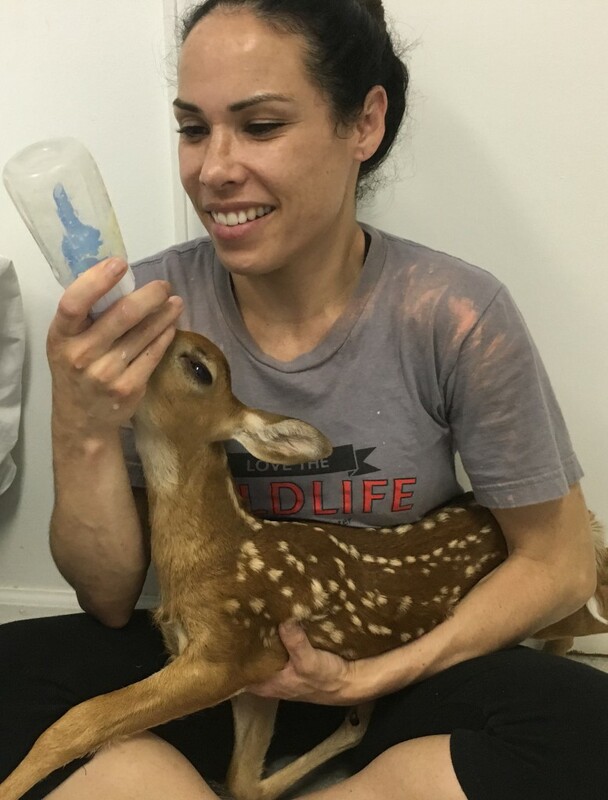 Mariela feeds a baby deer. 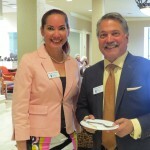 Mariela Hoffman and Ben Marckioli at the “Night Owl 5K” event in June. 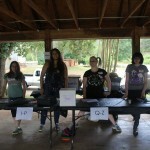 Registration for the “Night Owl 5K” in June. 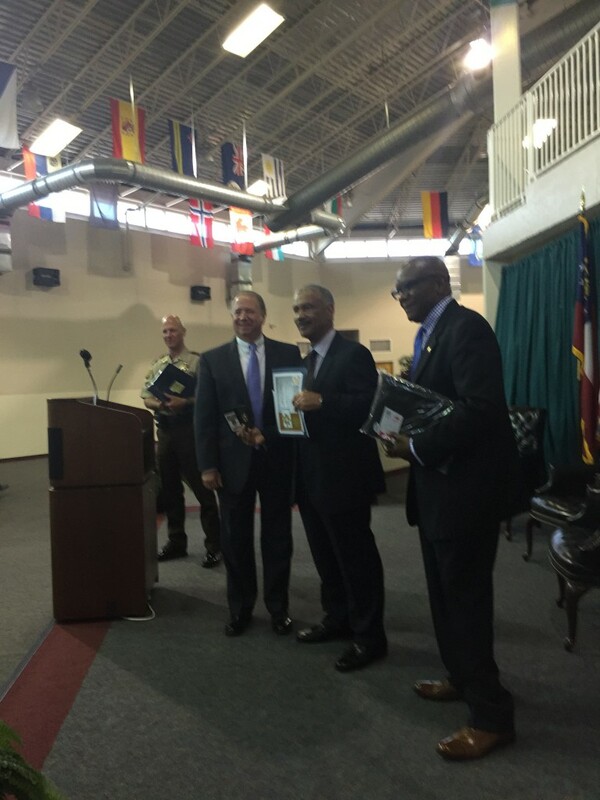 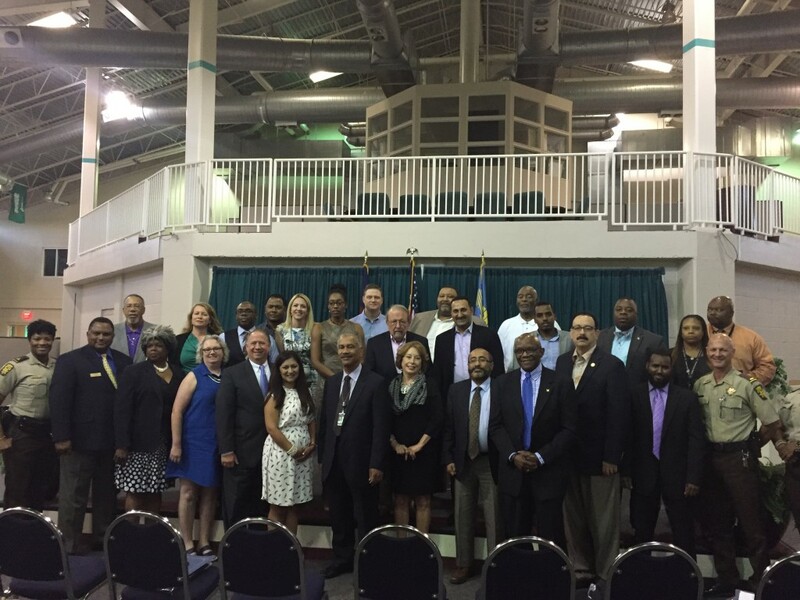 David Coxon and 21 others graduate from the Fulton County Sheriff’s Citizens Academy on June 1, 2016. The Academy enlightens members of the community as to what duties the Sheriff’s office entails through a 6 week program. 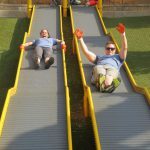 Our May employee outing proved to be fun and informative. 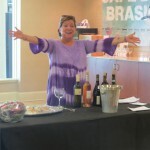 Karen Sullivan Losin, owner of Just Add Wine conducted a Wine 101 class for us. 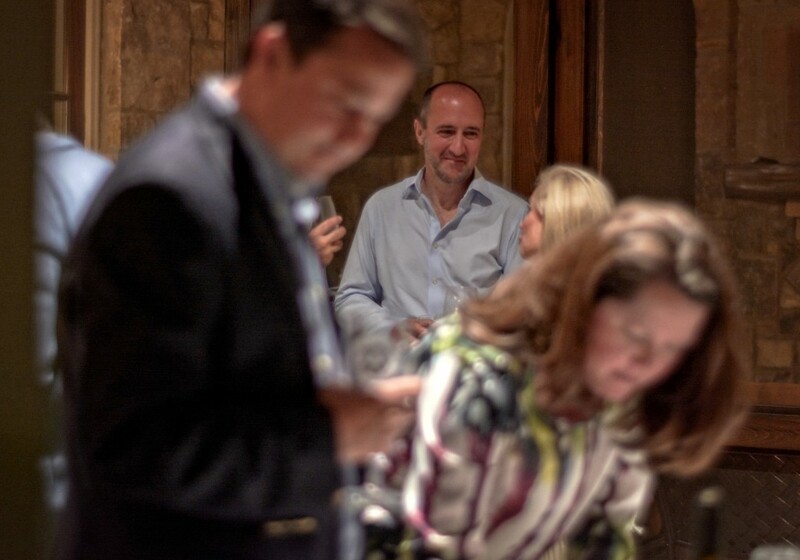 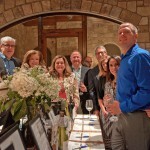 We tasted 6 wines and everyone had fun. 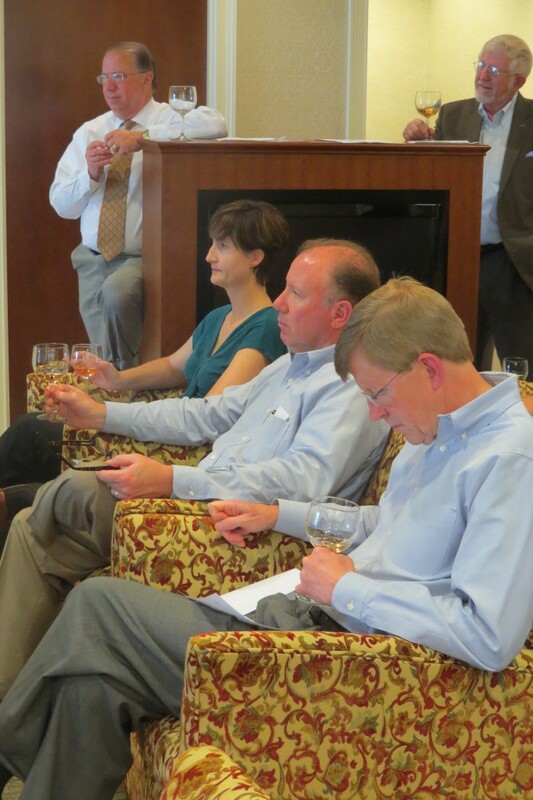 As Karen likes to say, everyone learned at least one new thing that evening. 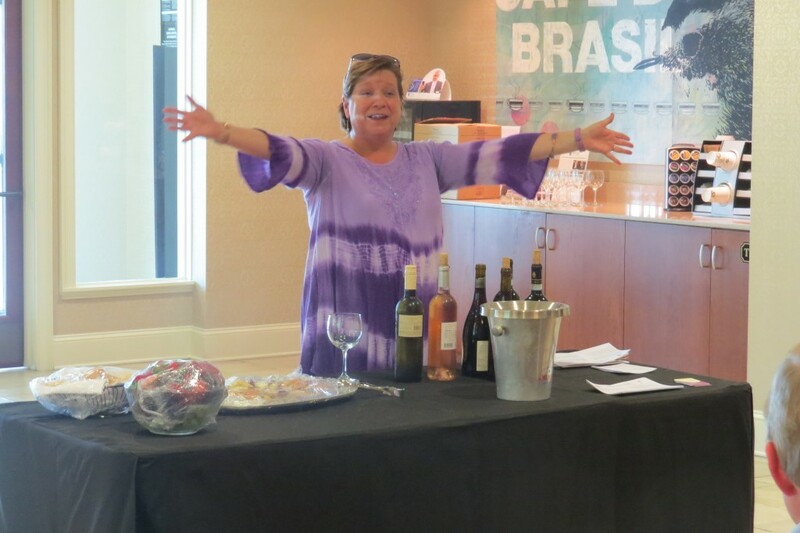 Thank you Karen for doing such a great job. 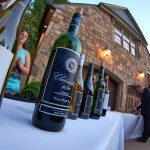 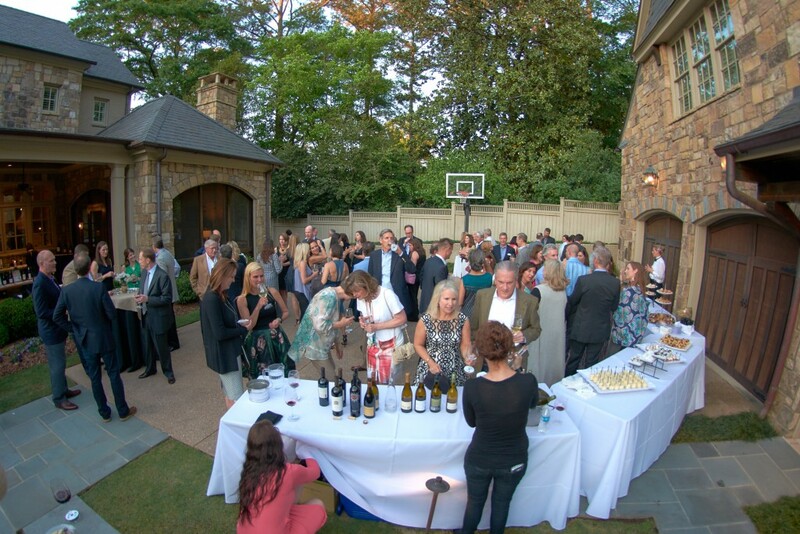 Georgia Primary Bank was the main sponsor of the Chastain Park Conservancy’s Wine Event on April 23rd, 2016. 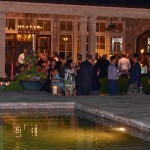 It was a lovely evening and a great night for fundraising for the Conservancy. 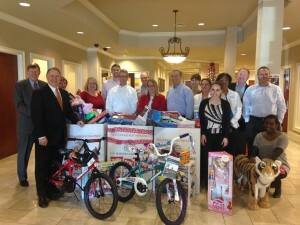 We are proud to be associated with such a great organization. 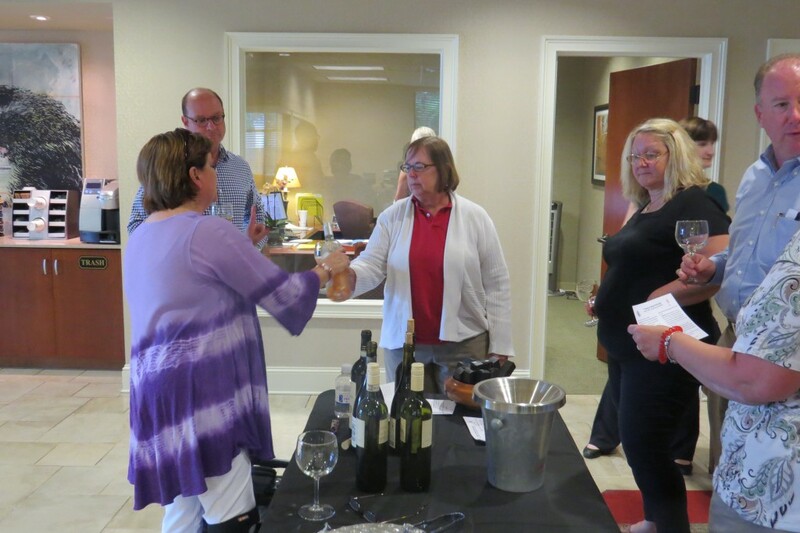 We love partnering with our customers when we can! 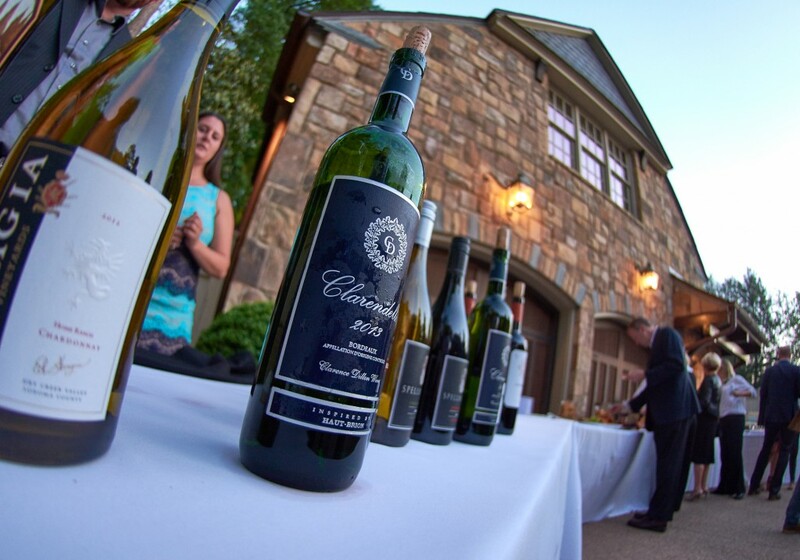 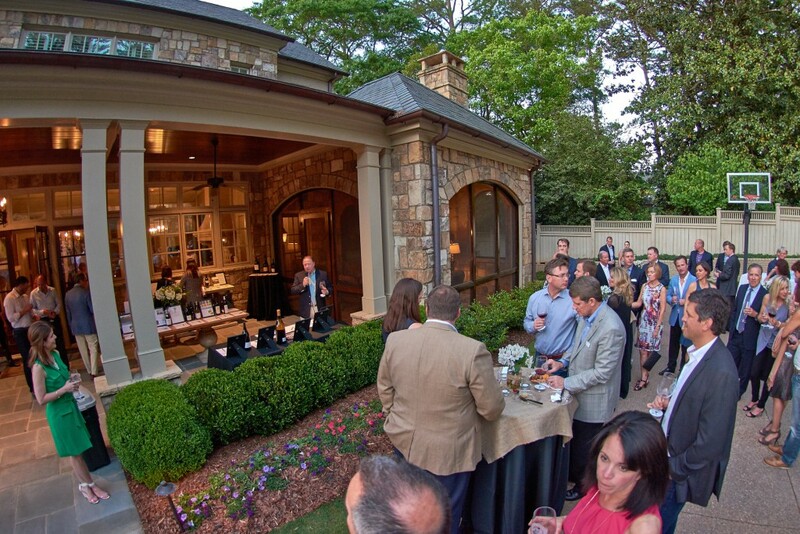 We recently partnered with 521 Kitchen & Que for a Backyard Wine and BBQ Dinner for the Chastain Park Conservancy Wine Event. 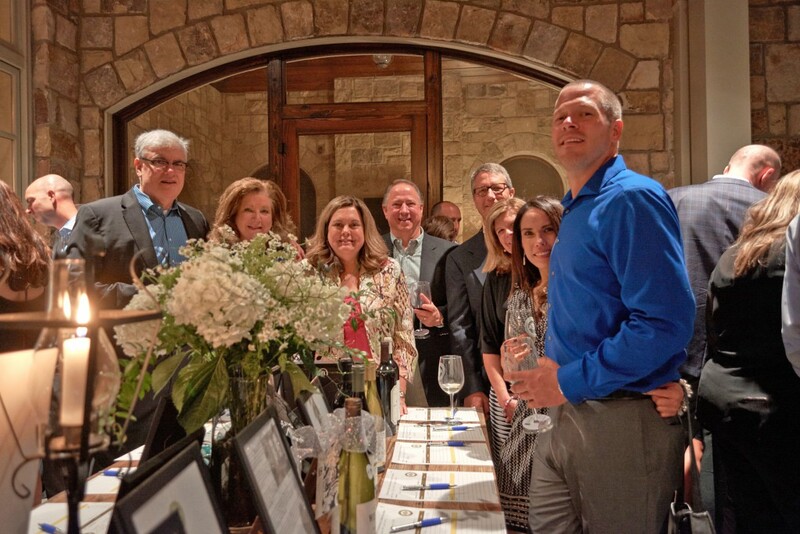 We are proud to say that our auction item raised $600 for the Conservancy. 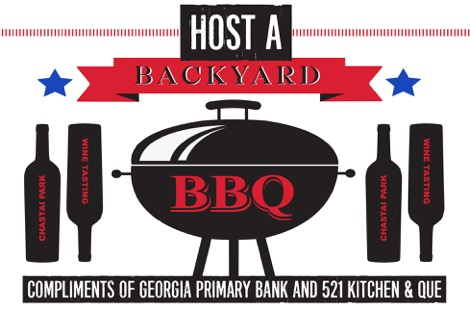 Thank you 521 Kitchen & Que Restaurant! 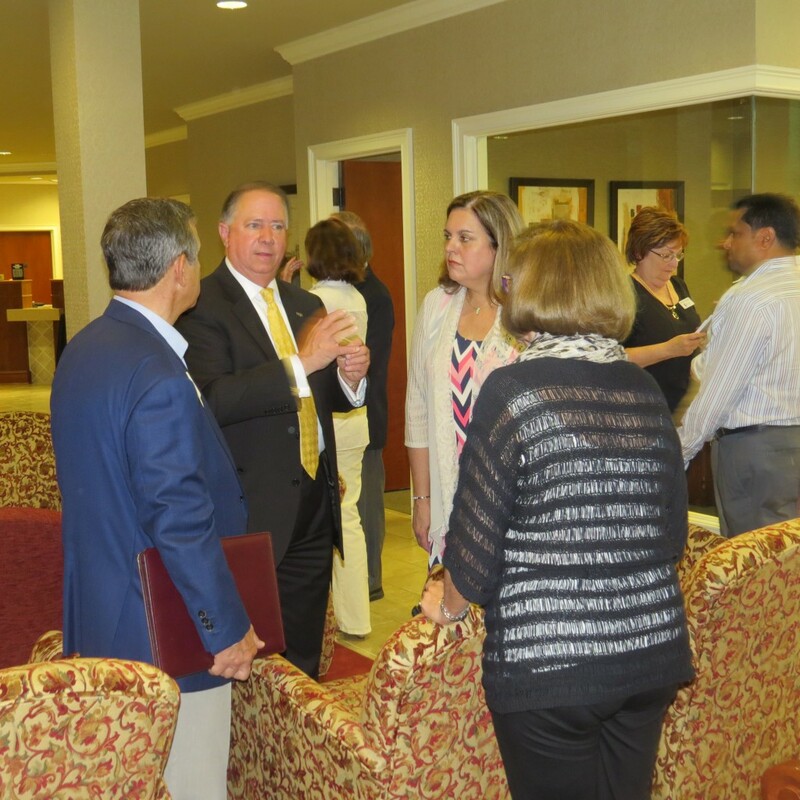 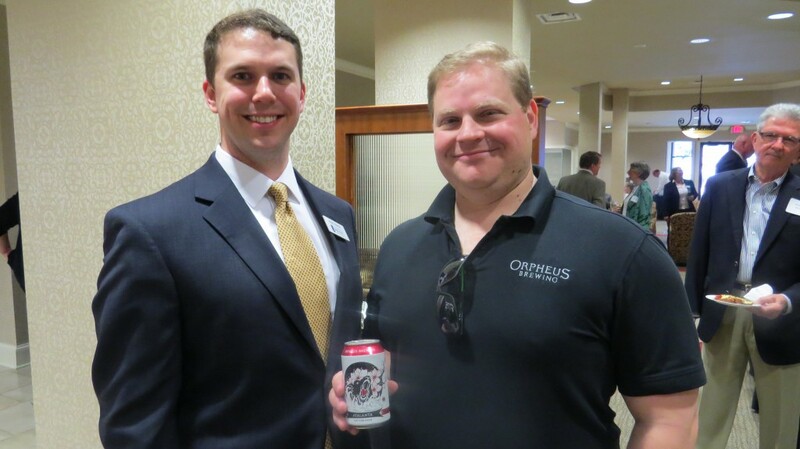 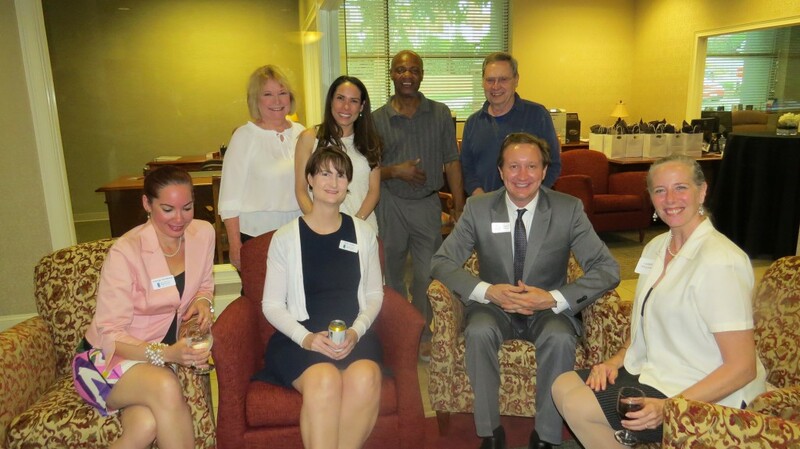 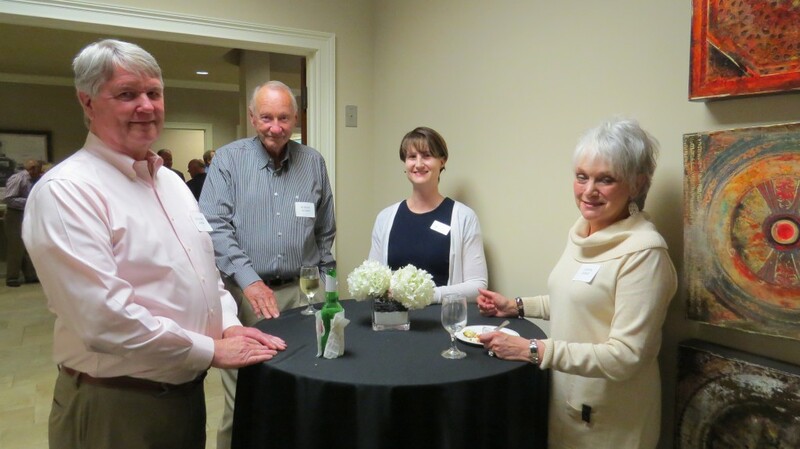 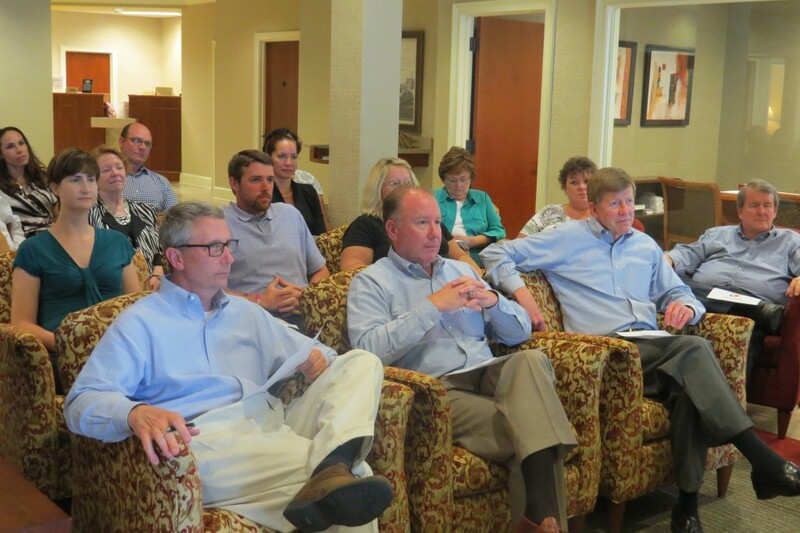 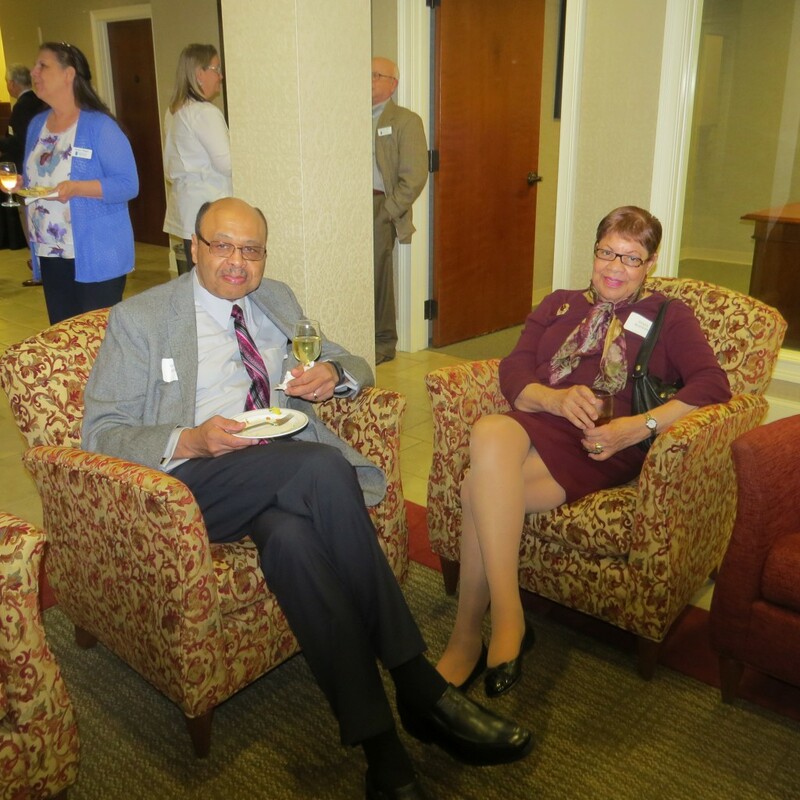 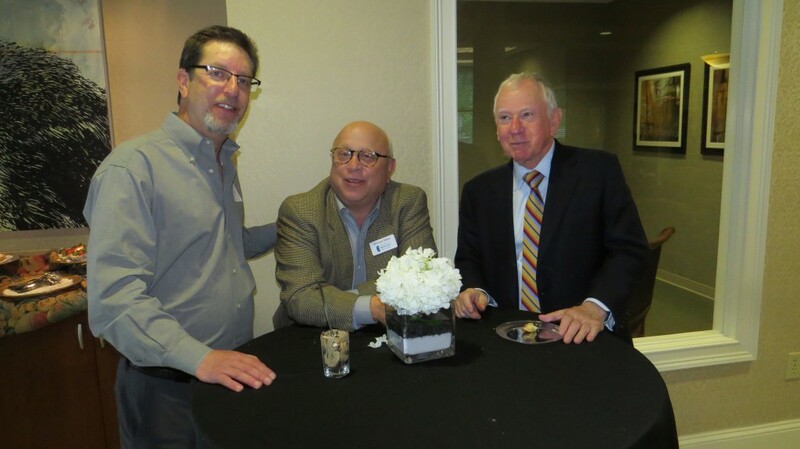 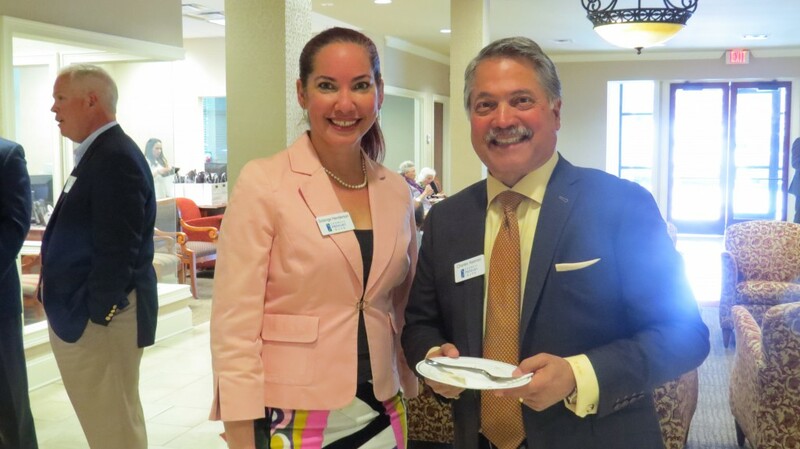 Georgia Primary Bank hosted our annual Shareholder’s meeting followed by a reception on April 19th, 2016. 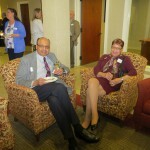 Everyone enjoyed good food and drink after a very positive meeting. 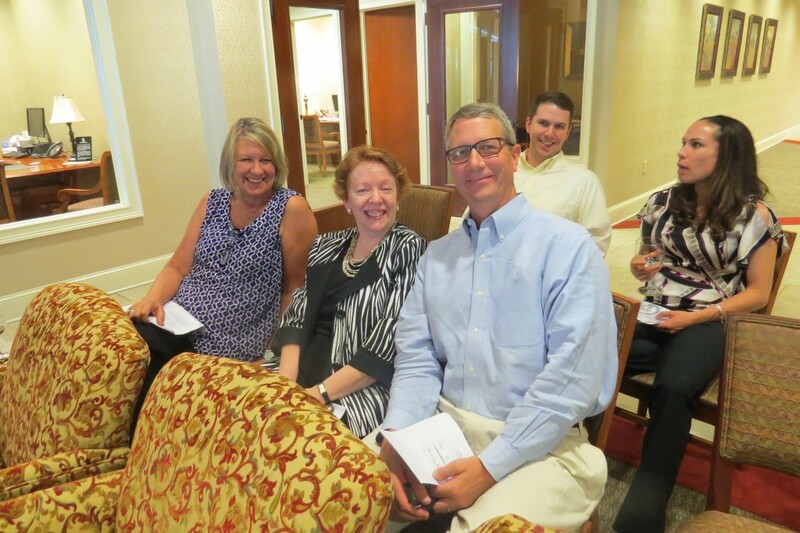 We already look forward to next year’s meeting! 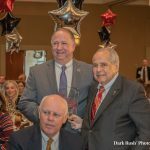 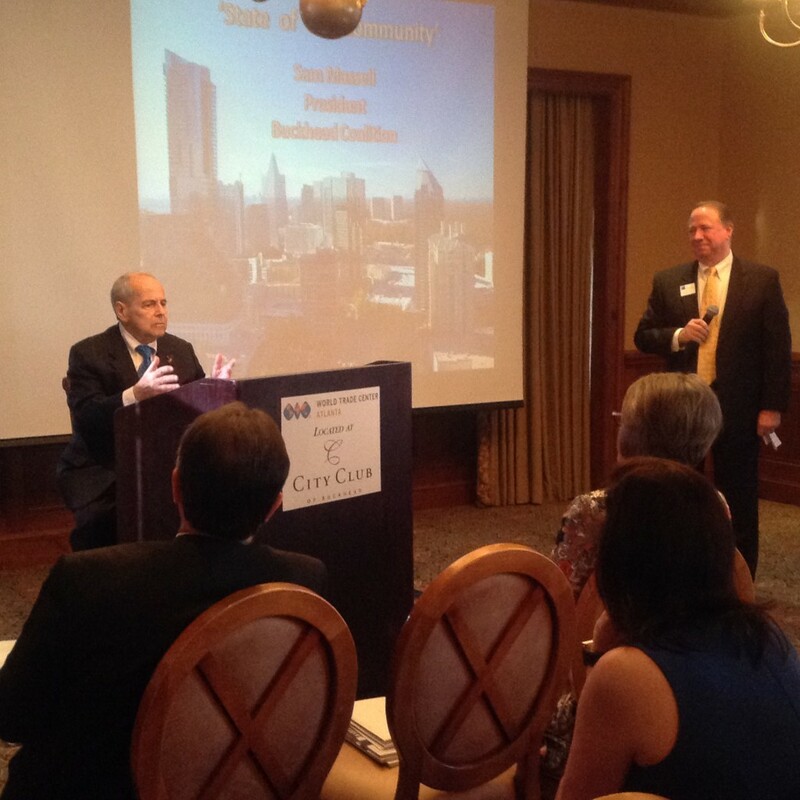 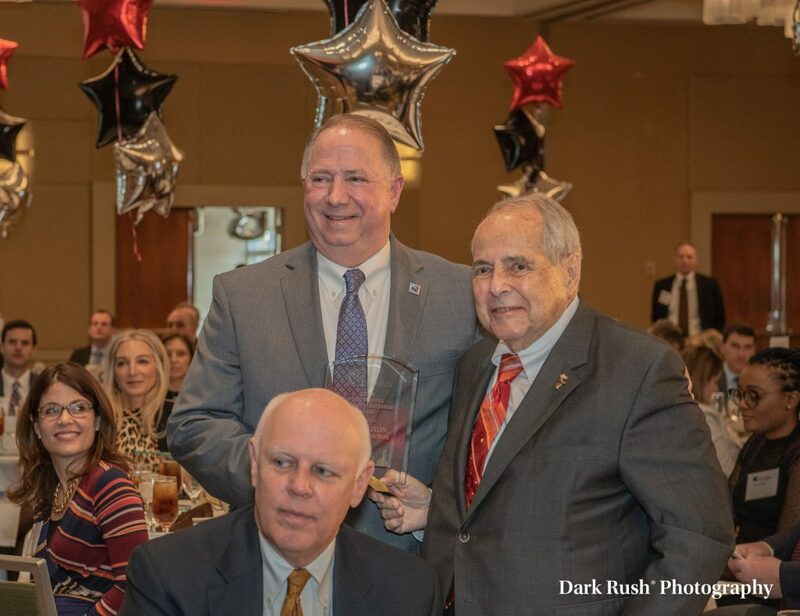 Sam Massell, President of the Buckhead Coalition speaks to the Buckhead Business Association with his Annual State of Buckhead address. 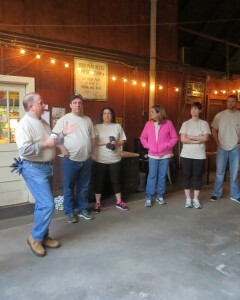 DRC takes questions from the attendees. 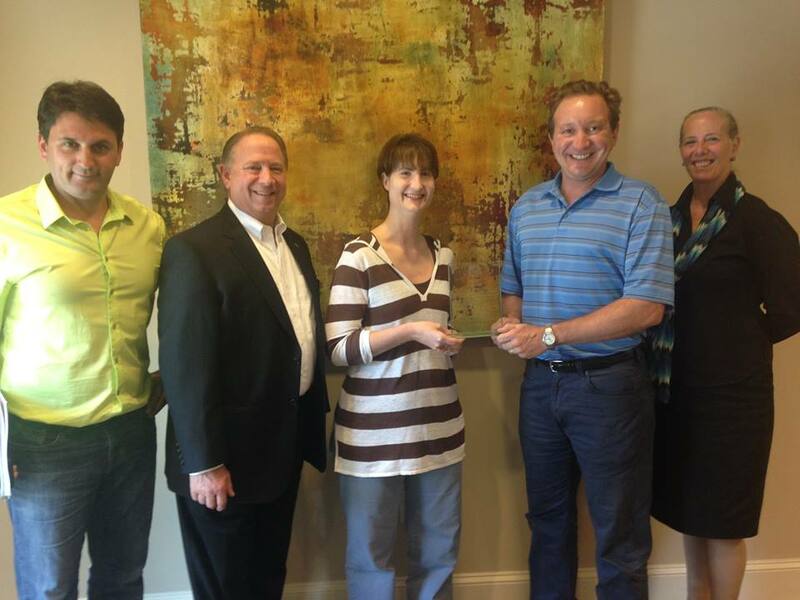 Congratulations to our Retail Banking Officer, Beth Szala! 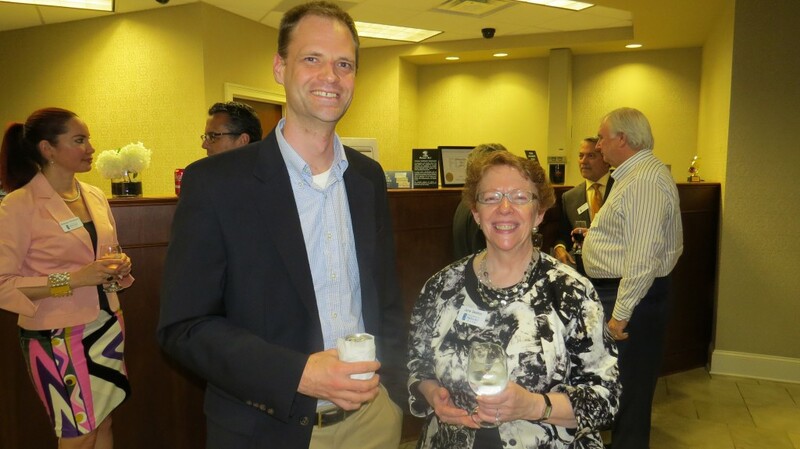 She was recognized for providing outstanding customer service to Brent Sobol and his company Legacy Housing Corporation. 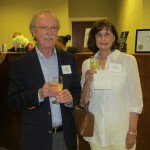 He was so appreciative with the level of customer service and assistance she provides, he decided to recognize her with his own award. 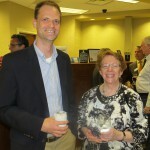 The award states: “Presented to Beth Szala – Georgia Primary Bank. 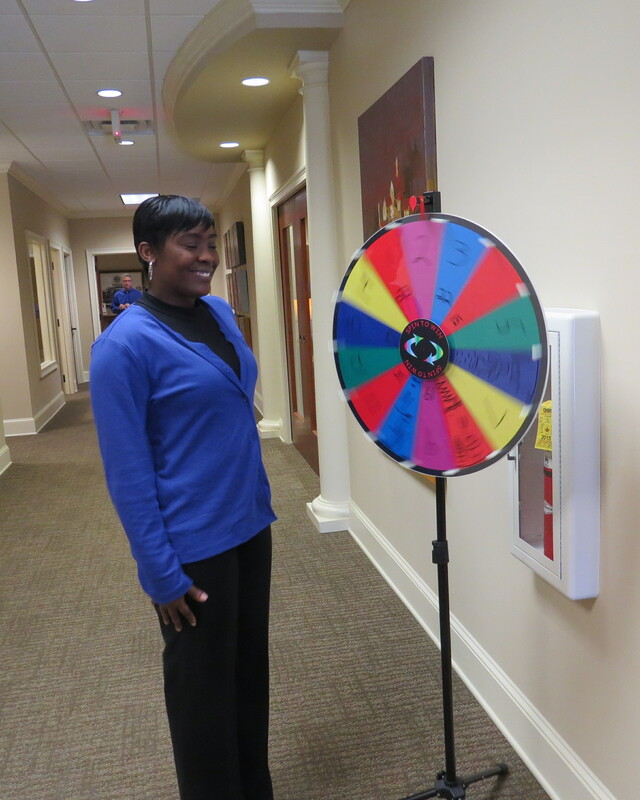 We appreciate and celebrate your selfless and passionate service to our Shamrock Gardens Apartment Community residents in 2015.” Keep up the good work Beth. 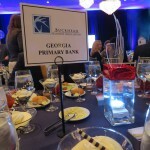 Georgia Primary Bank appreciates you too. 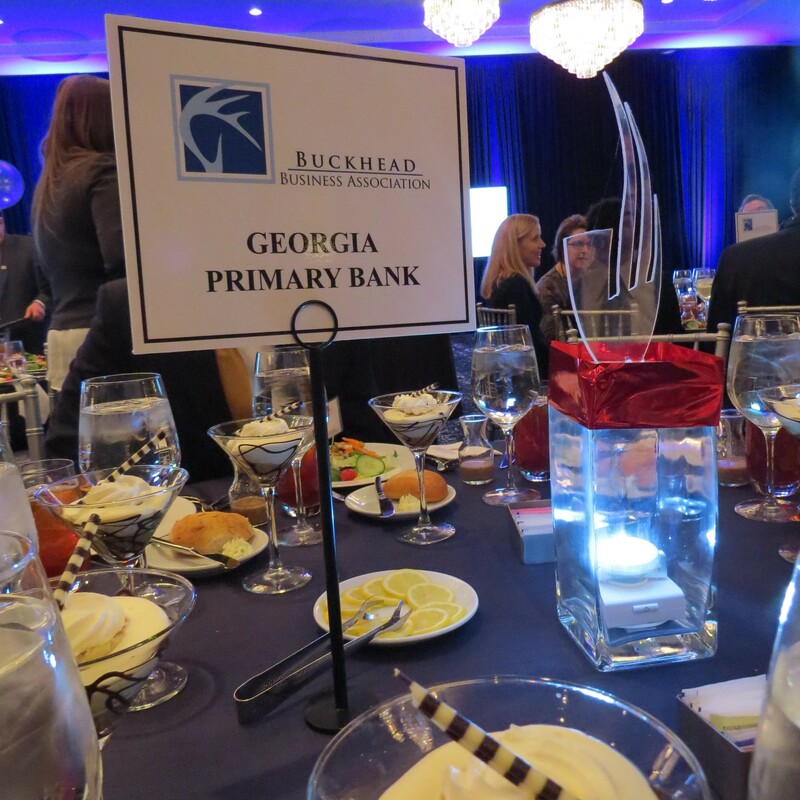 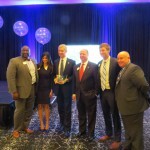 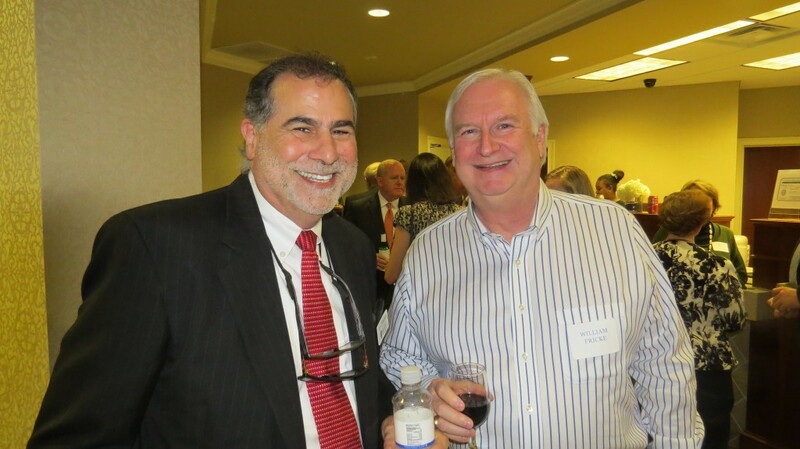 Georgia Primary Bank was a proud sponsor of the Buckhead Business Association’s (BBA) 2016 Annual Luncheon on February 25th, 2016. 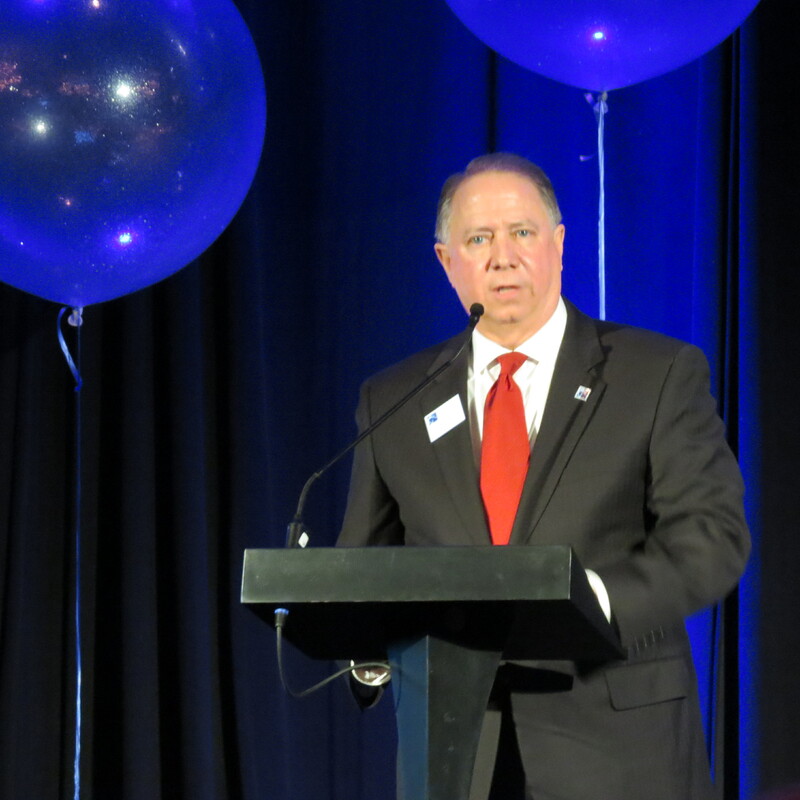 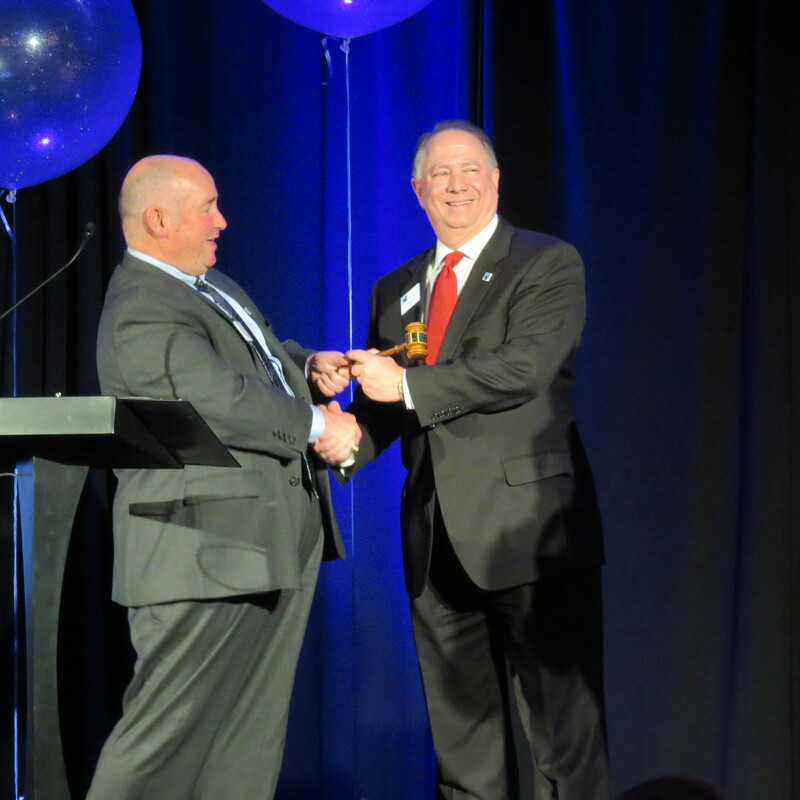 Our President and CEO, David Coxon, accepted the transfer of the gavel and will now serve as the 2016 President of the BBA! 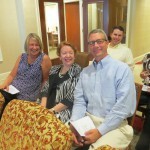 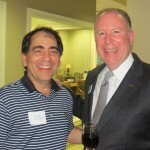 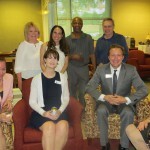 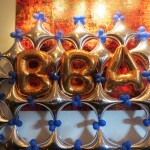 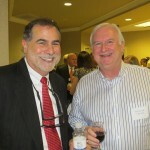 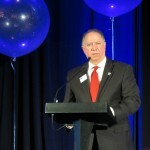 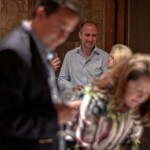 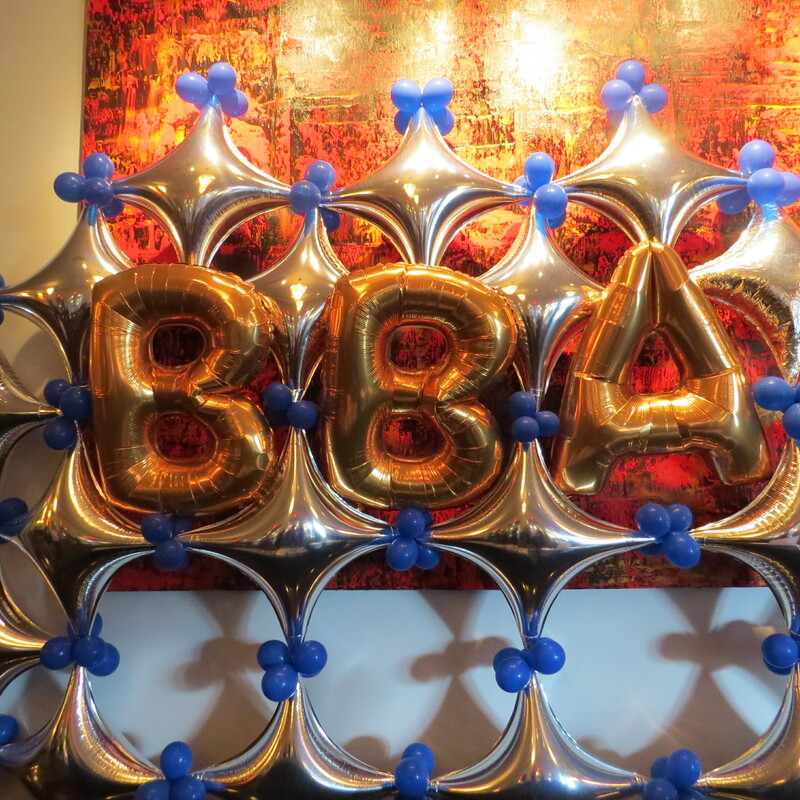 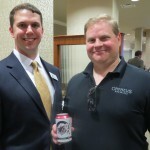 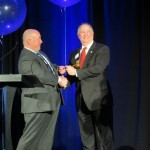 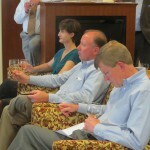 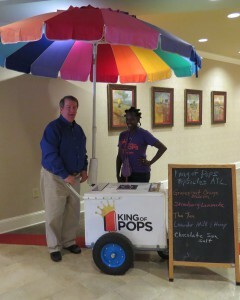 For more information on the BBA, go to buckheadbusiness.org. 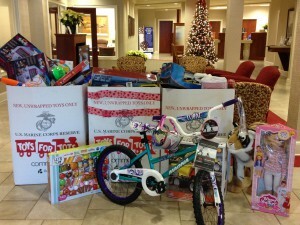 Georgia Primary Bank was once again a designated drop off location for the Toys For Tots program. 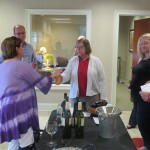 Customers and Employees were very generous as shown below! Thanks to everyone who donated. 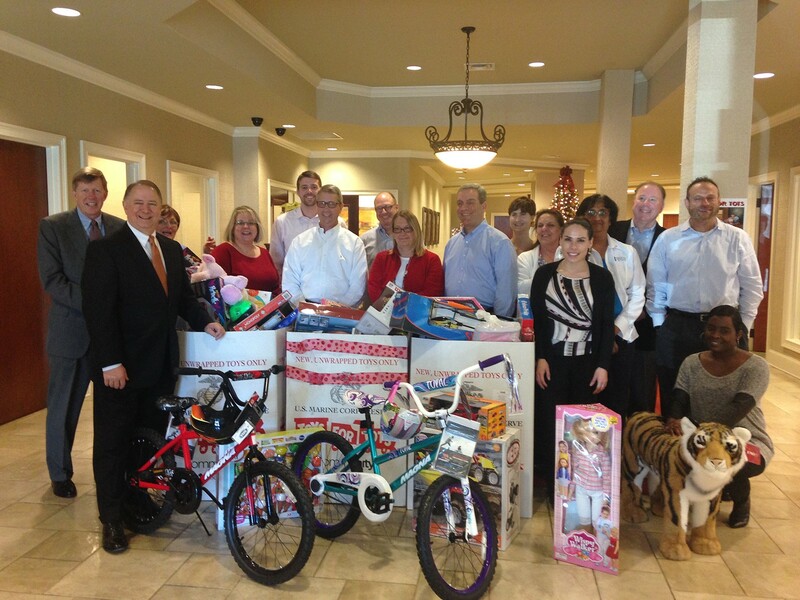 Plenty of smiling faces on Christmas day. 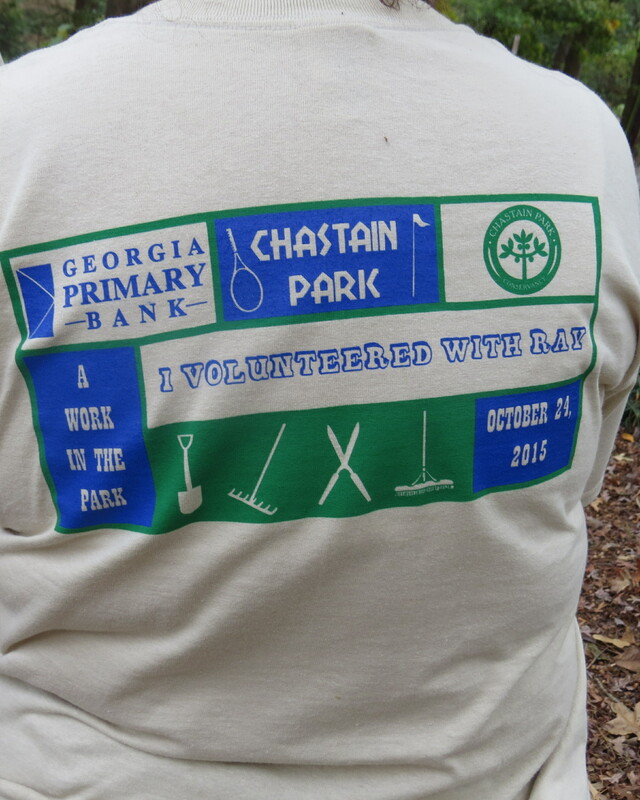 Georgia Primary Bank employees and family members enjoyed a bank “Work In The Park” day at Chastain Park in Atlanta on Saturday, Oct 24th. 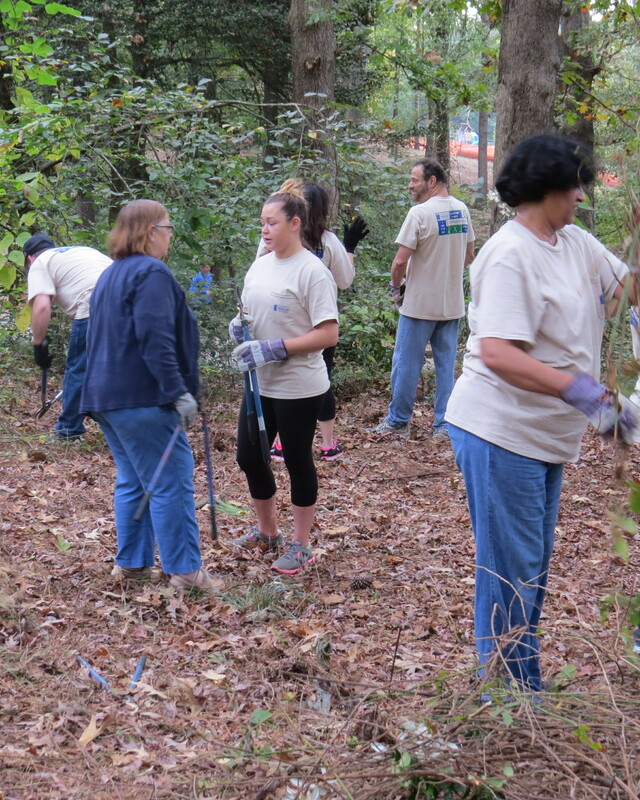 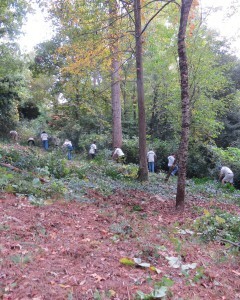 Everyone worked hard to clean out an overgrown meadow where next spring Georgia native plants will be planted. 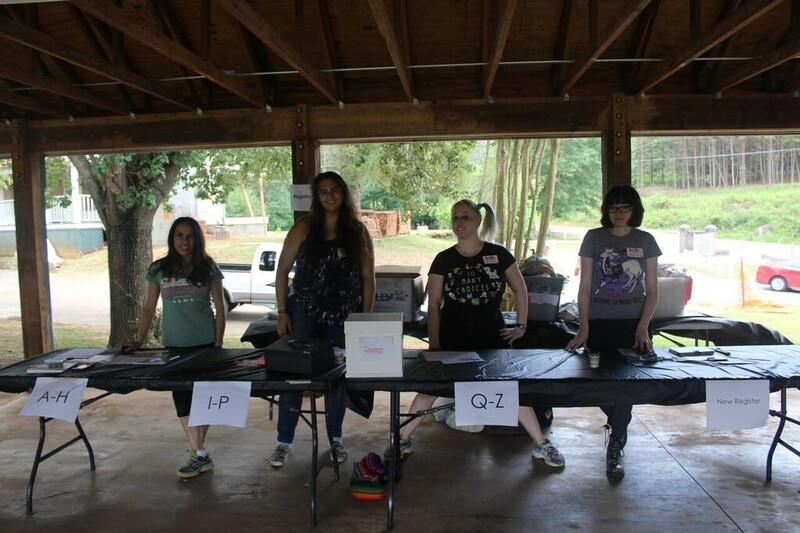 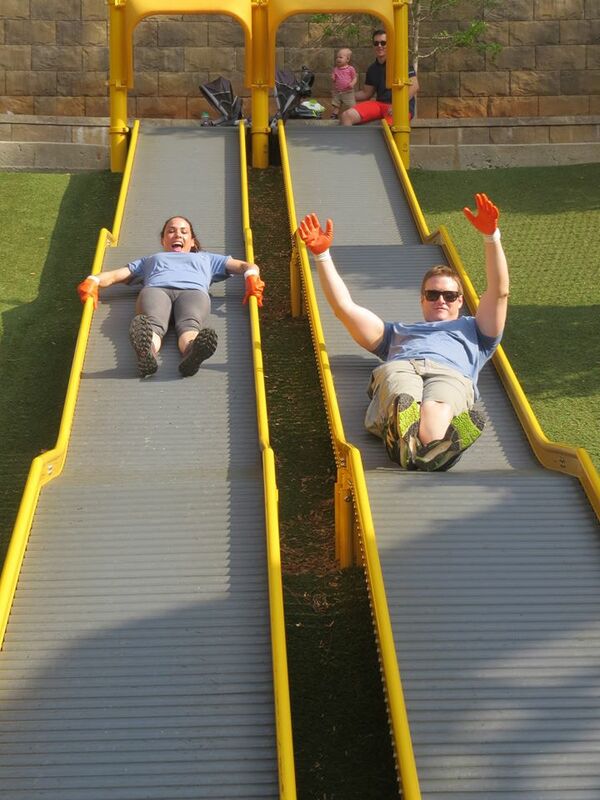 Everyone’s hard work was rewarded with a company picnic afterward. 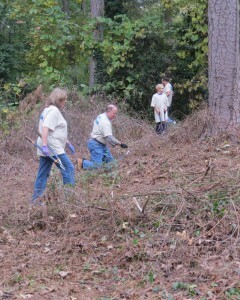 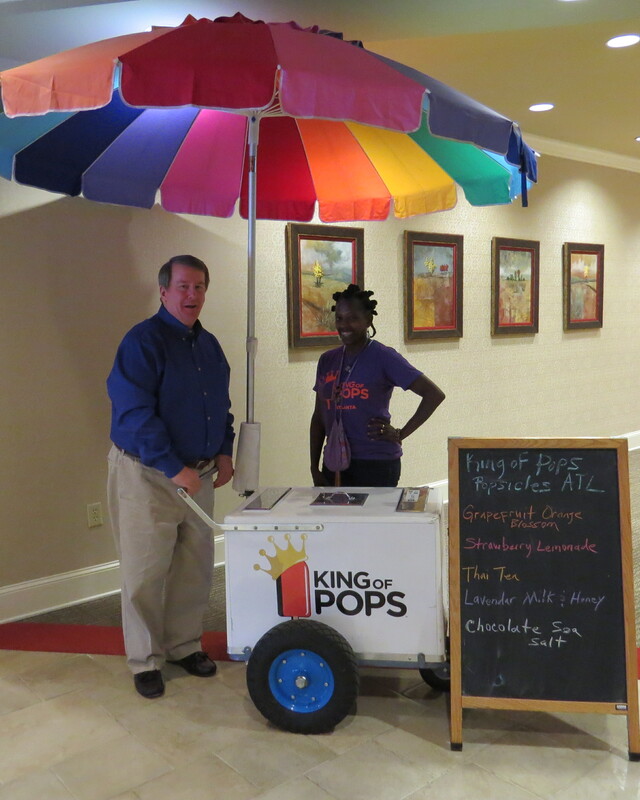 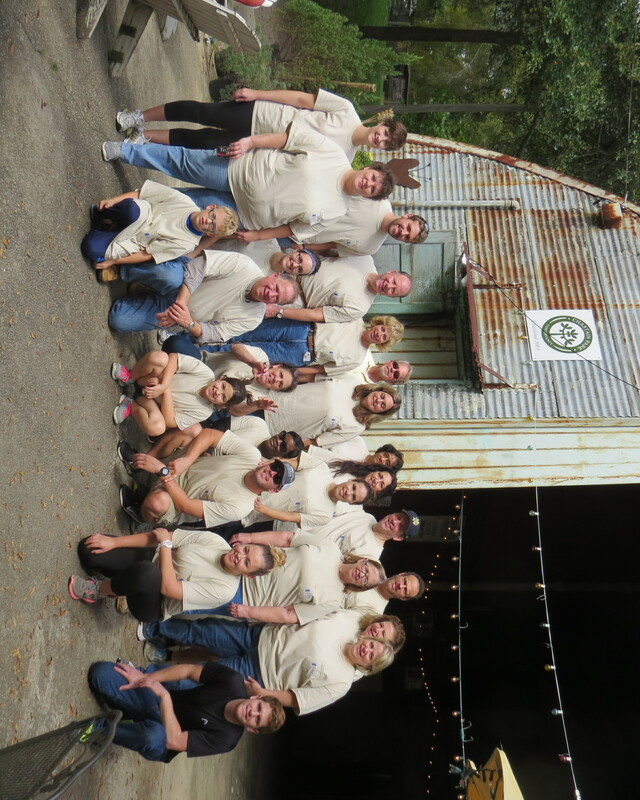 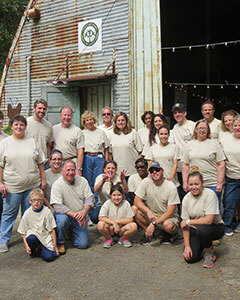 GPB employees giving back! 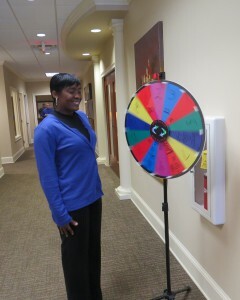 GPB Management appreciates its staff with fun, games and prizes! 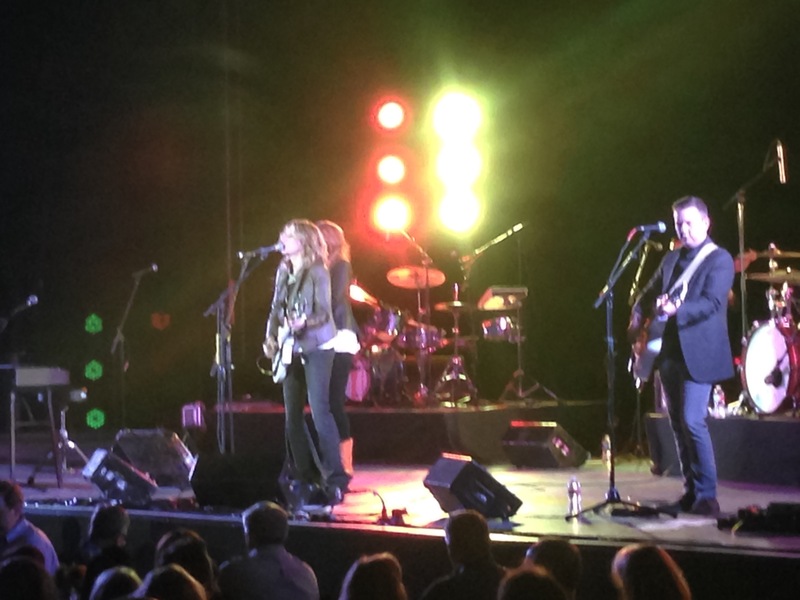 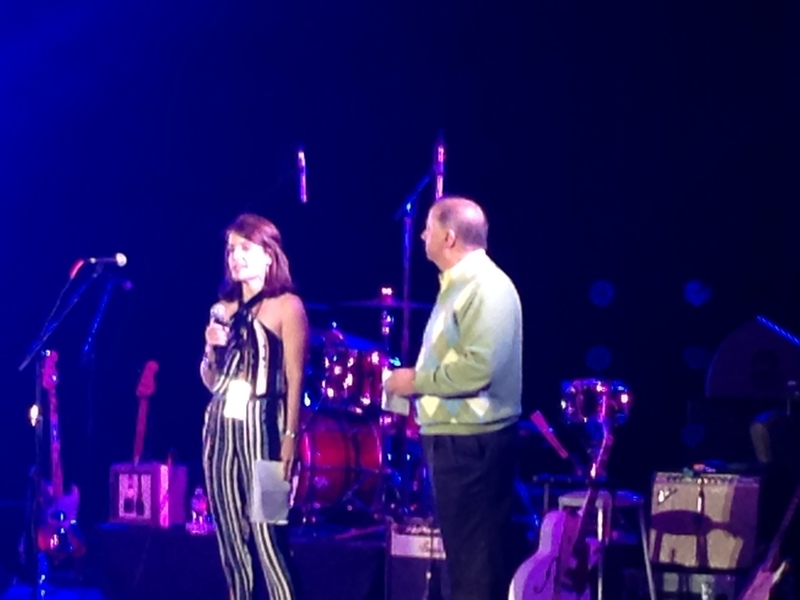 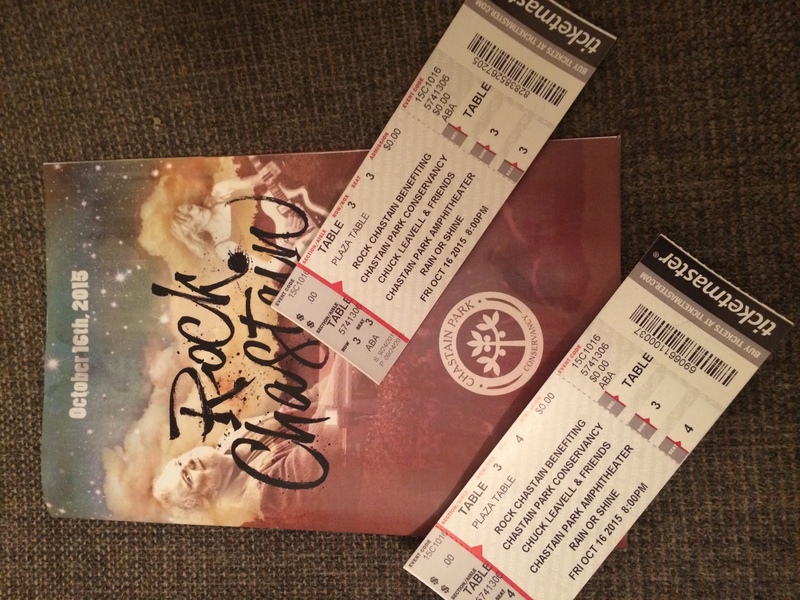 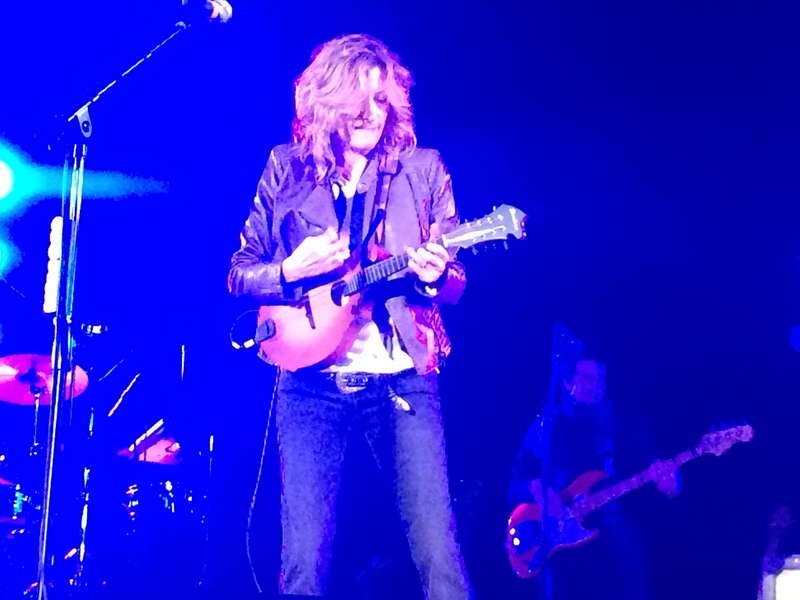 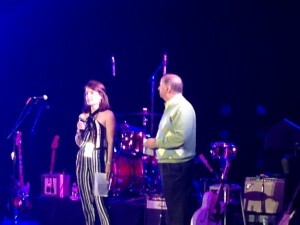 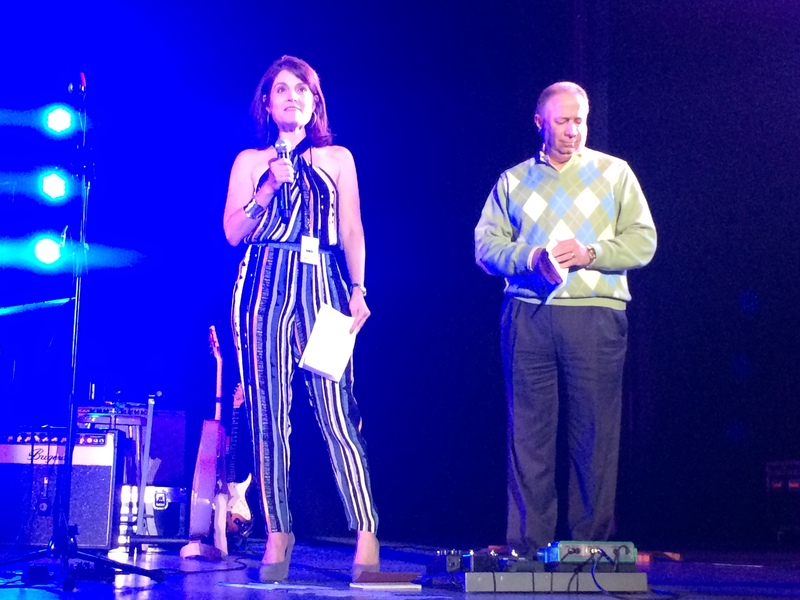 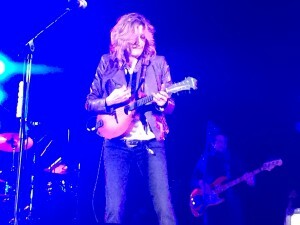 Georgia Primary Bank was proud to be the presenting sponsor of Rock Chastain Concert 2015 in October to benefit The Chastain Park Conservancy. 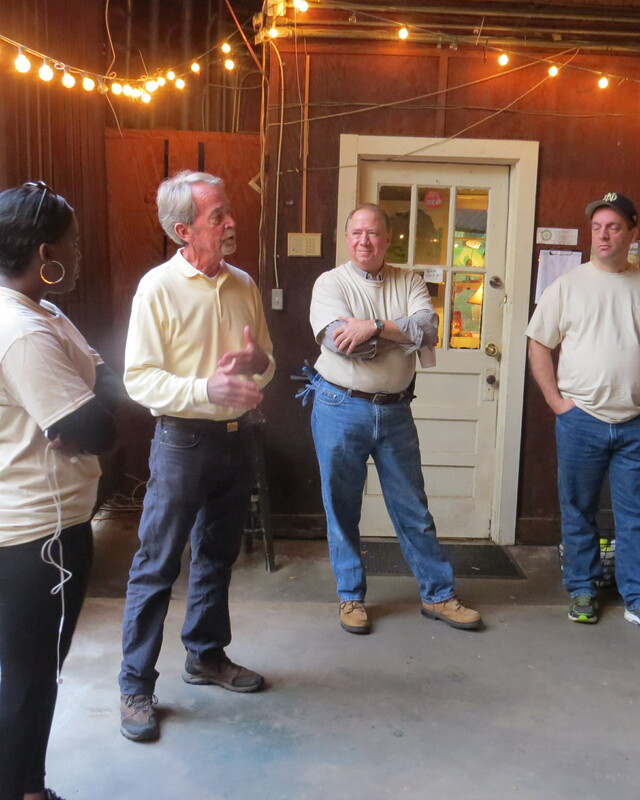 As a neighboring business, we want to involve ourselves in the sustainability of such a great community asset. 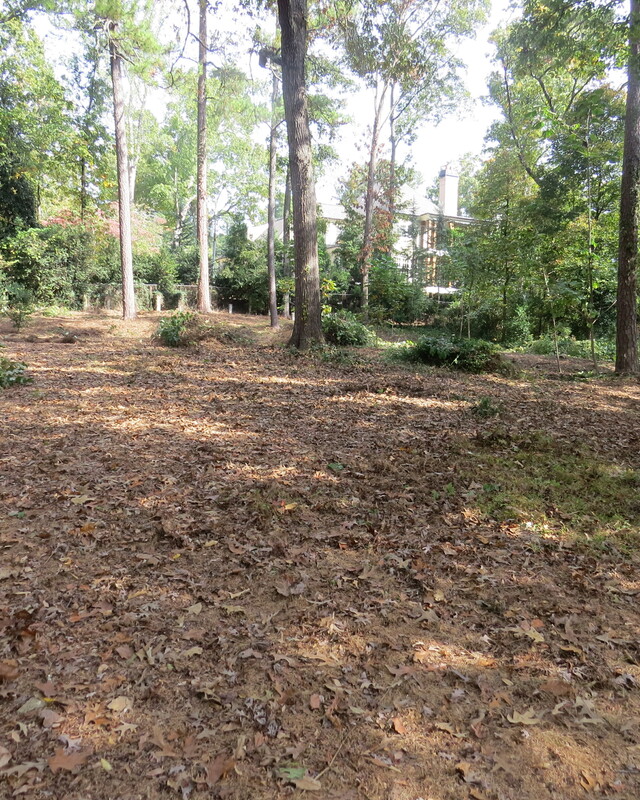 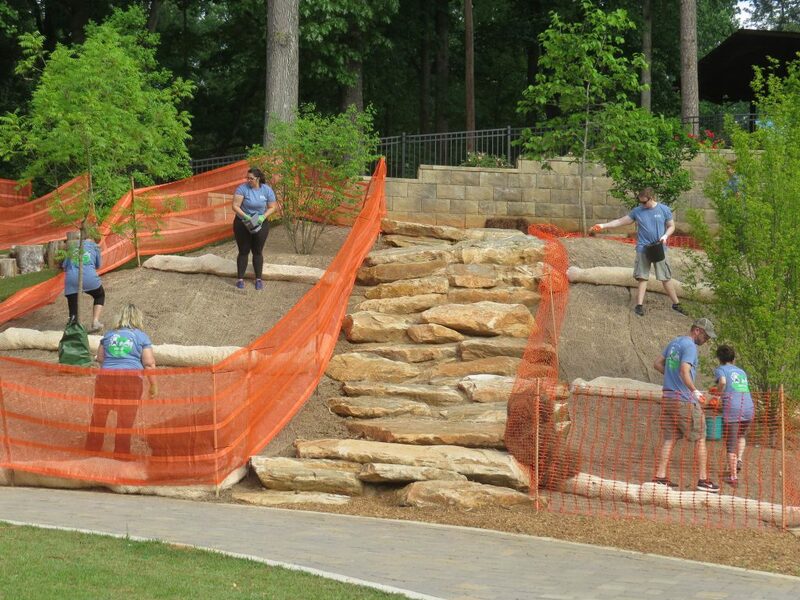 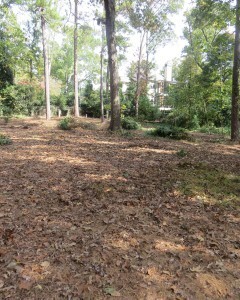 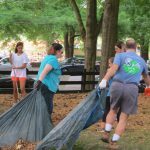 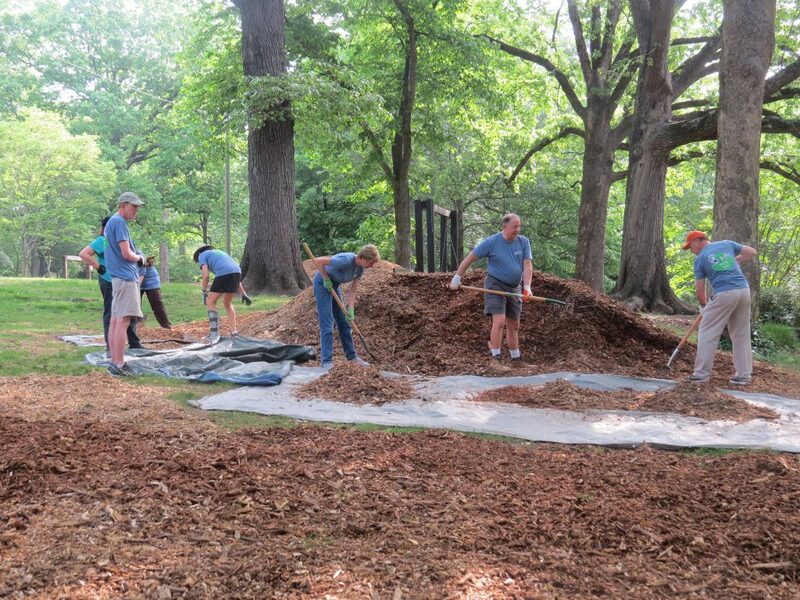 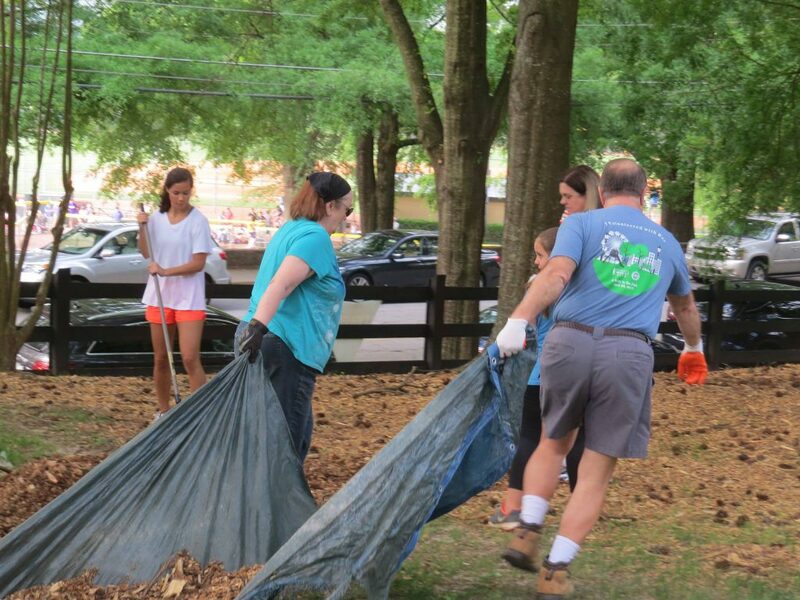 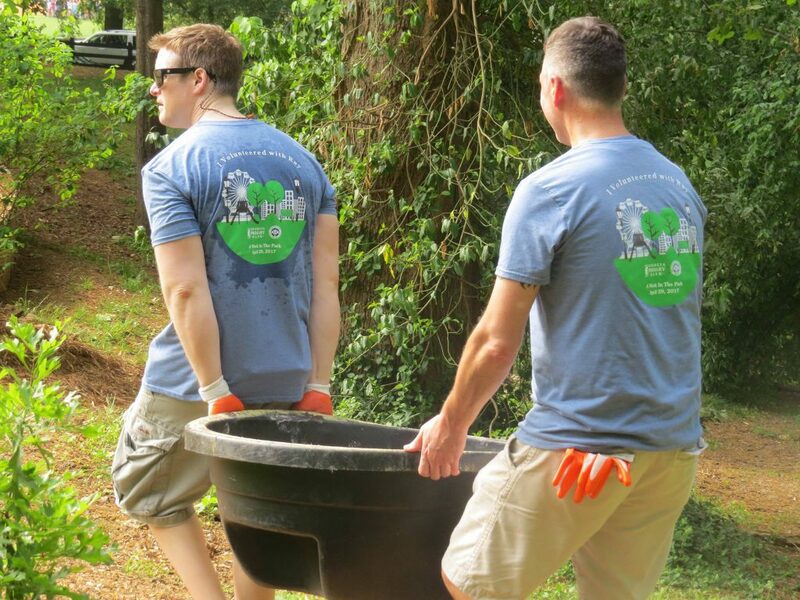 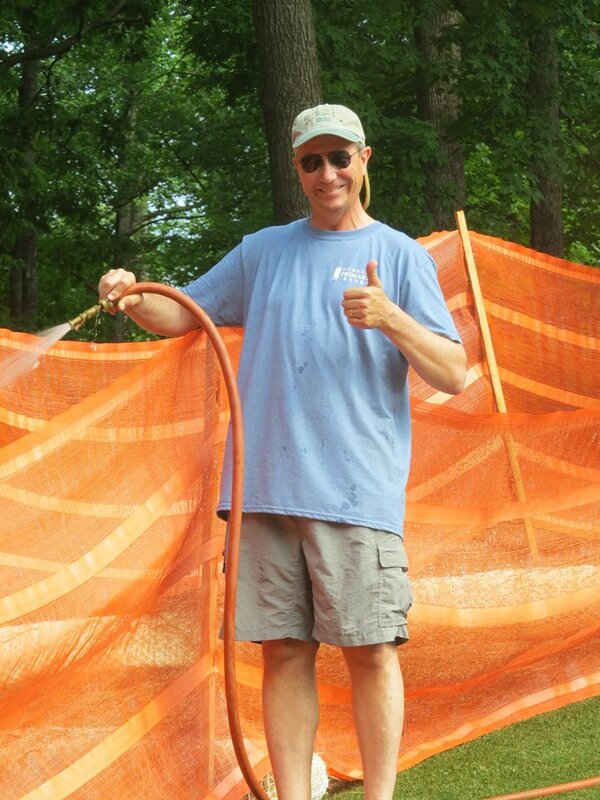 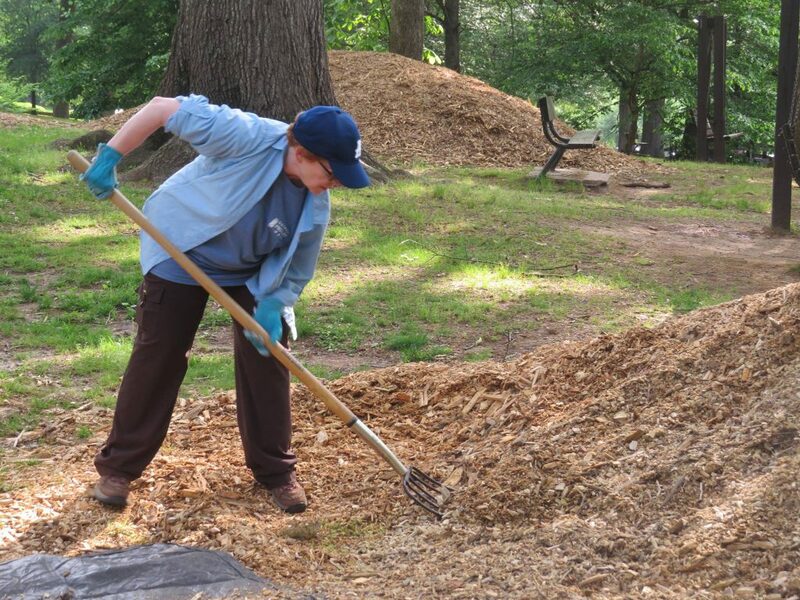 The Chastain Park Conservancy exists to insure the park remains clean, safe and green. We want to do our part and also want to ensure the good work continues. 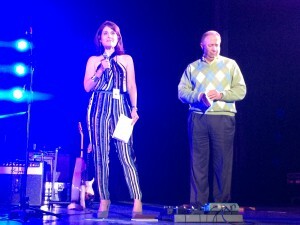 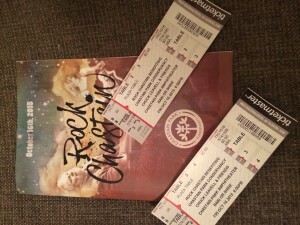 The concert featured Chuck Leavell and Michelle Malone. 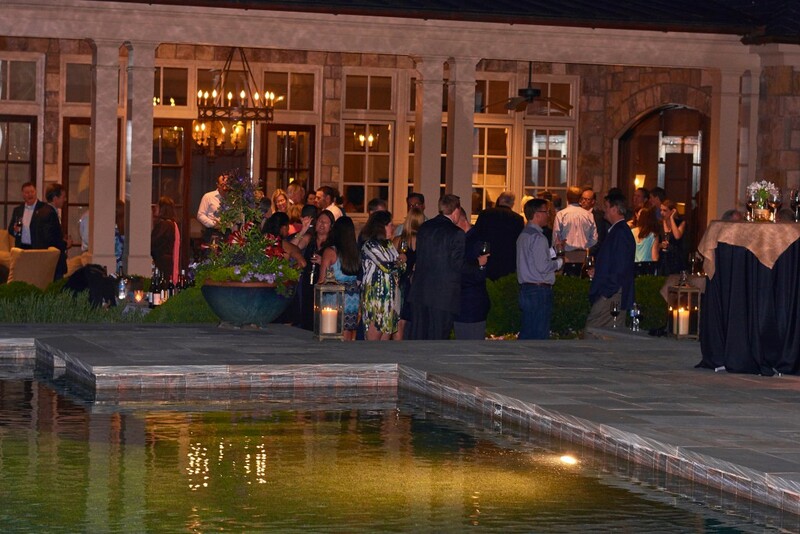 It was a beautiful night and a good time was had by all. 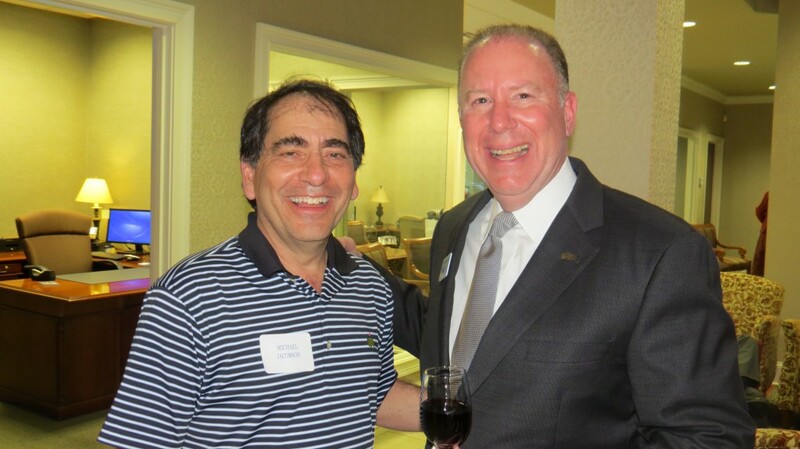 Georgia Primary Bank was a proud sponsor of the Brookhaven Rotary Service Above Self Golf Tournament on May 11th, 2015, at the Cherokee Country Club. 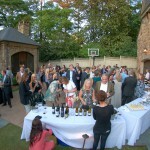 Proceeds from the event benefit the Shepherd Center’s SHARE Military Initiative. 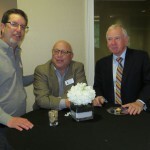 The bank’s foursome included Chief Lending Officer, Phil Beaudette and Chief Credit Officer, James LeBow, along with friends of the bank, Ben Joel and Chris Marinac. 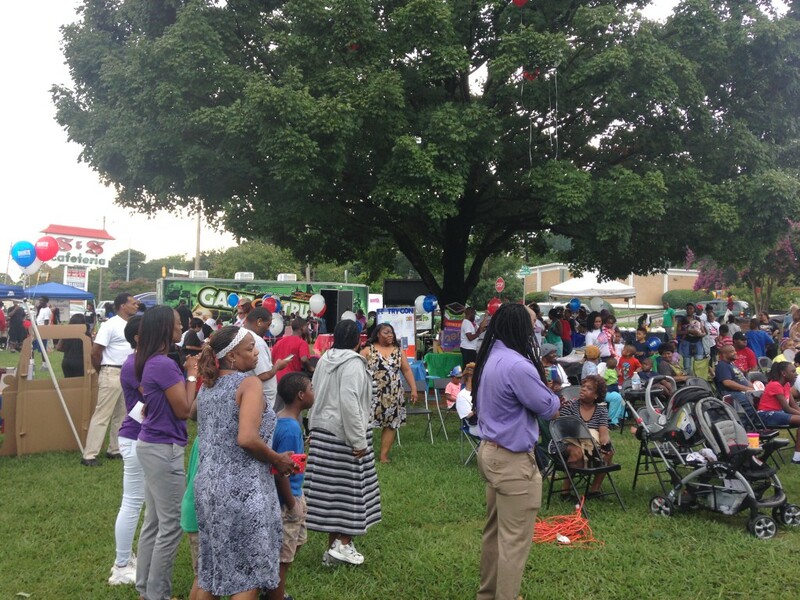 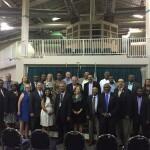 We look forward to continued involvement with this great event!